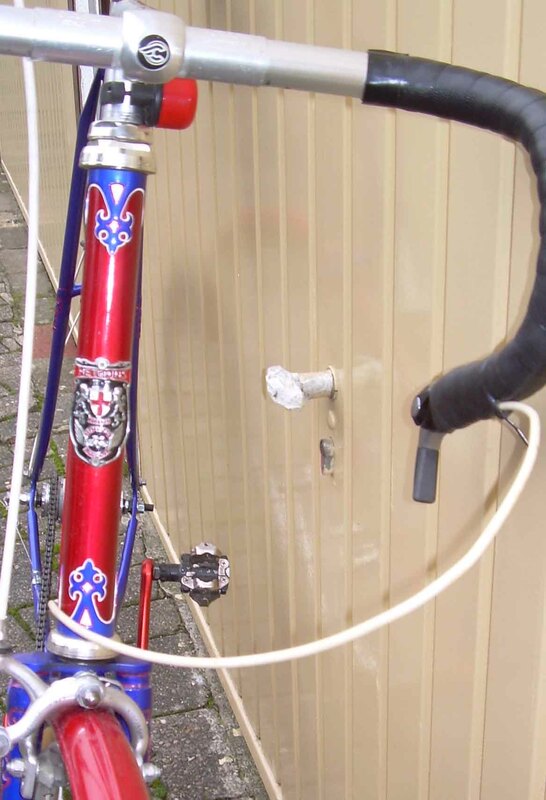 Nearly 20 years ago something wondrous happened: A collector who should have known, or should have looked, didn´t, and so he sold me this bike as having no recognizable brand. The thing was that I liked it very much and bought it on the spot, without much ado, brand or no brand. Upon returning home I grabbed an oily cloth and discovered forthwith that there were two spots on the bike where it clearly said “ADLER”, so the task of identifying had been easy. 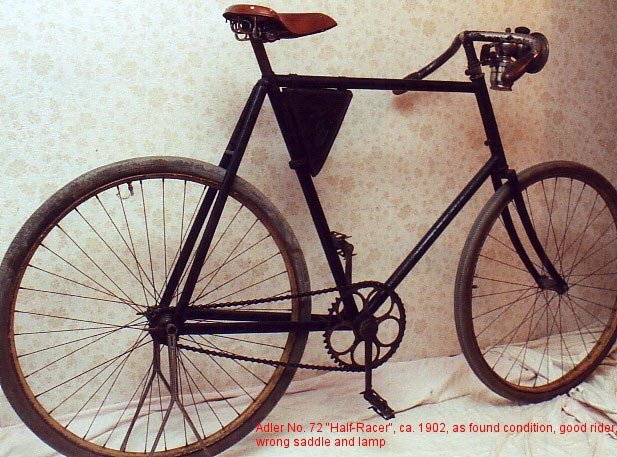 A quick phone call to an Adler specialist netted a photocopy of a 1902 catalogue, and there it was: A Model 72 half racer, minus its front brake and steering lock. But it still had its original tool pouch and pedals, both items not to be sneered at. 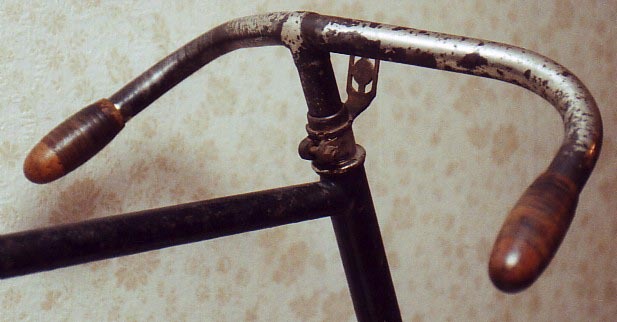 What I had liked right from the start were the handlebars. Their downwards slope is just great, both as a looker and when riding. 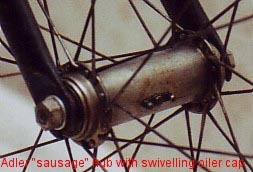 Also both wheels seem to be original as they have typical Adler hubs, nicknamed “sausages”. 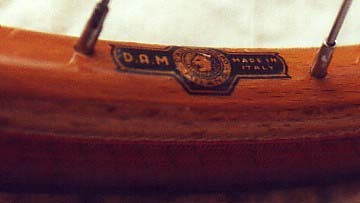 Adler was one of Germany´s first and foremost cycle brands at the time, situated in Frankfurt of modern banking fame. 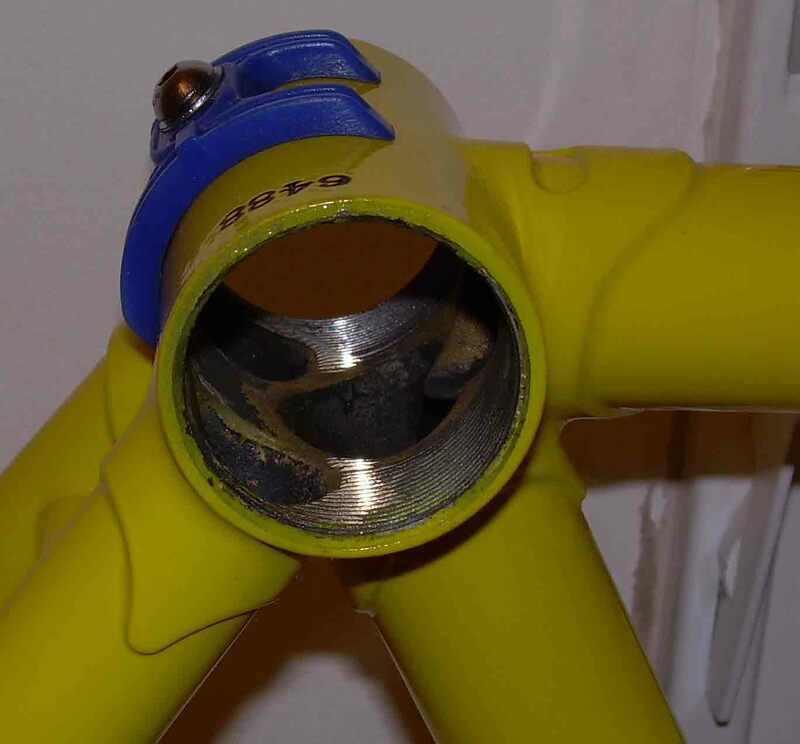 They made nearly all components for their bikes in house, and so the hubs can readily be identified. 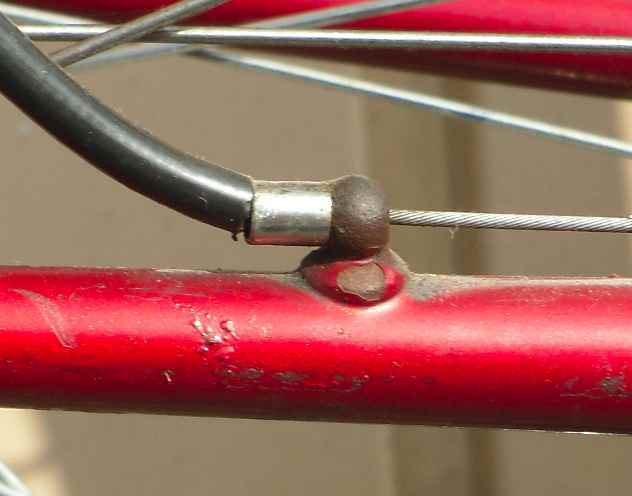 I have ridden the bike, even in town, never mind the consequences (fixed wheel, no brakes), years and years before anyone spoke of fixies, and people just didn´t care. I think nowadays with the fixie craze at full swing any police officer I might meet would throw the book at me. Oh well, the craze will vanish, but the Adler will endure. 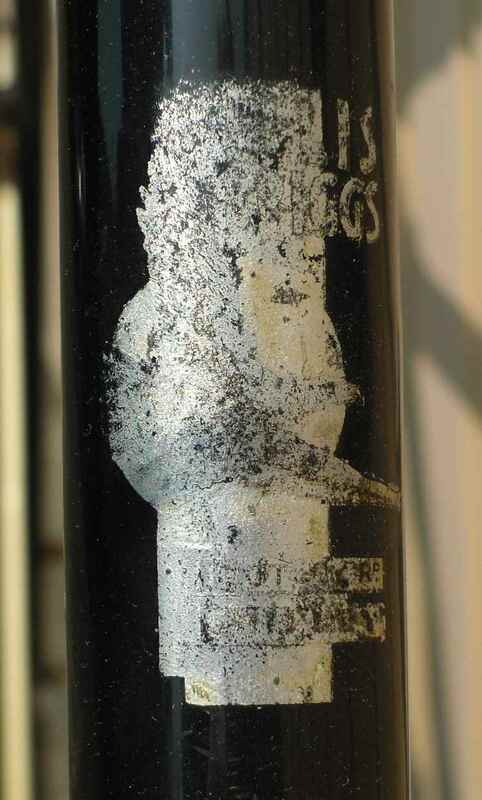 Patience and an oily rag, the secrets behind cycle collecting. 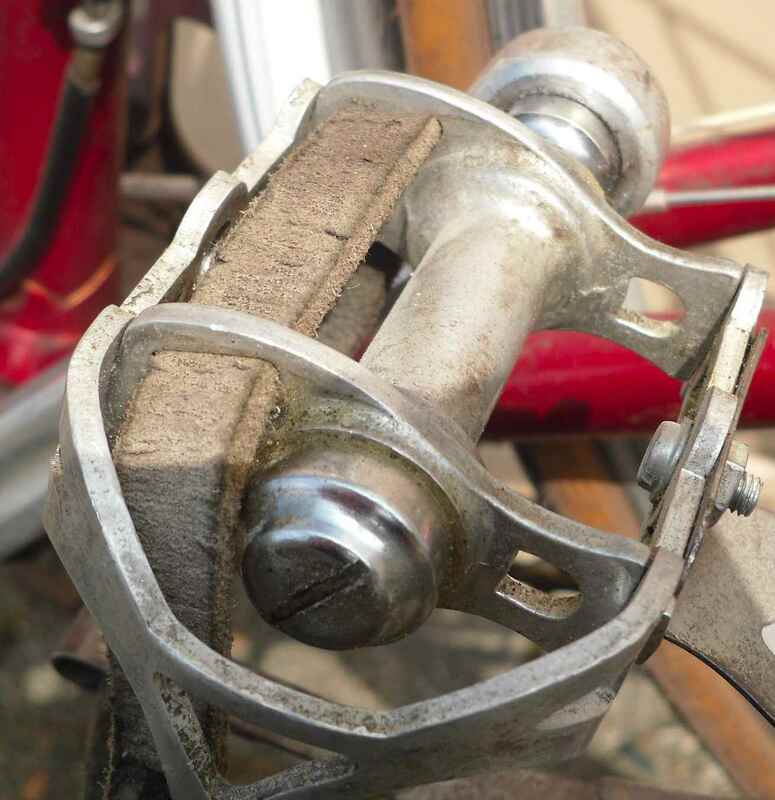 The following post is in German, for once, because it outlines a presentation I gave at the Feb 25 Bielefeld/Germany conference on old bicycles held by the German cycle collectors´ club. The purpose of the presentation was to familiarize German collectors with the basics of Sturmey club and racing hub production. 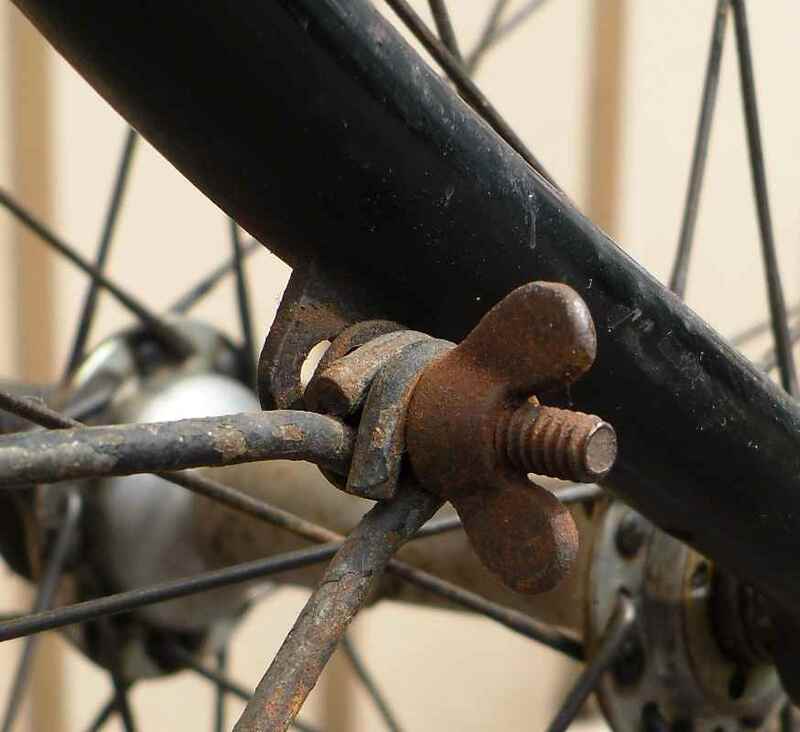 In Germany little is known about this, and I also hoped to rectify the local prejudice that Sturmey hubs are badly made and unreliable. A list of the literature used is given below; all illustrations in this post are commented on and used for scientific purposes. It is not OK to copy them out of this blog. In den dreißiger und vierziger Jahren war es in Großbritannien durchaus noch nicht sicher, ob nicht Nabenschaltungen eine gute Chance haben würden, sich neben Kettenschaltungen am Markt zu halten, oder diese sogar auf die Plätze zu verweisen. Klassische Kettenschaltungen waren zum Beispiel die Cyclo, von der bis Ende 1929 nach Berto, Dancing Chain 3rd ed, gerade mal 150 Stück verkauft worden waren. 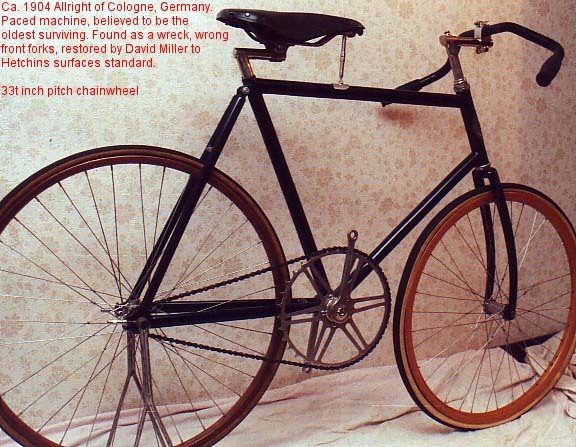 In der britischen Radfahrpresse war zu jener Zeit die perfekte Kettenlinie das Maß allen Erfolgs beim Antrieb des Fahrrads, und die ist nun einmal mit einer Kettenschaltung nicht zu haben. Auch sorgte das typisch britische Zeitfahren dafür, dass auf meist flachen Rundkursen, auf denen möglichst gleichbleibende Geschwindigkeiten gefahren werden sollten, Kettenschaltungen nicht nötig waren. Darüberhinaus waren Massenstart-Rennen, ab Anfang der Vierziger organisiert von der BLRC, lange Zeit nicht offiziell erlaubt (Messenger, Ride and be Damned) und eine Teilnahme führte zu Sperren bei den erheblich weiter verbreiteten Zeitfahren der NCU. 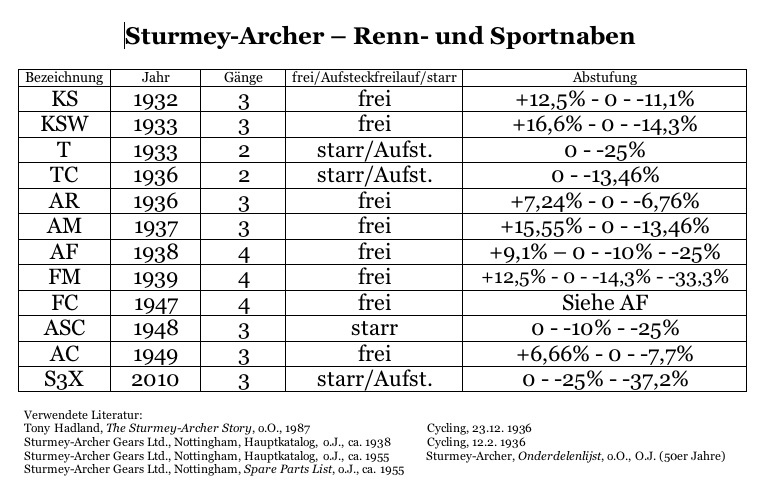 Besonders Sturmey-Archer brannte ein wahres Feuerwerk an Naben ab, die mit Renn- oder Sportabstufungen angeboten wurden und zum Teil technisch sehr anspruchsvoll waren. Einige hatten beispielsweise doppelte Planetensysteme. 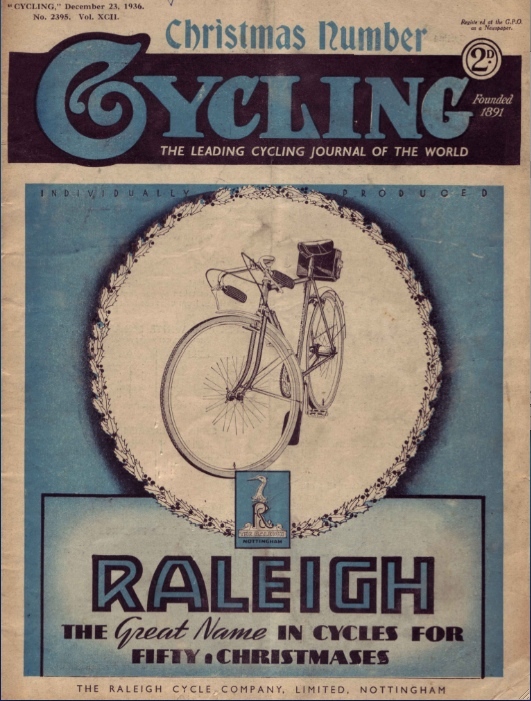 In der Weihnachts-Ausgabe 1936 von Cycling fand sich diese Anzeige, in der vier Sportnaben angepriesen werden, die TC, TF, KS und KSW. 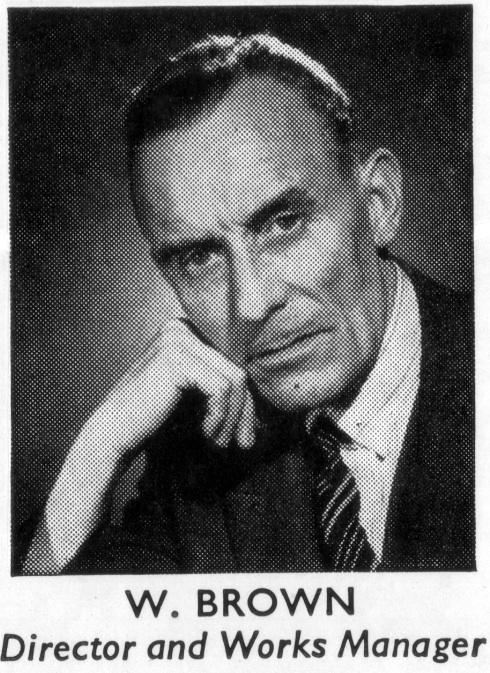 Ab 1938 ersetzte die A-Reihe die K. Die TF überstand als Zweigang den Modellwechsel und wurde bis 1940 gebaut. Die T/TF war ein recht leichtgewichtiger Ersatz für die damals noch populären, aber umständlichen Wendenaben: Wollte man bei ihnen einen Gang wechseln, musste das Hinterrad ausgebaut, umgedreht und wieder eingebaut werden, weil sich je ein Ritzel auf den beiden Seiten der Nabe befand. Da war selbst eine Zweigangnabe wie die T schon eine deutliche Erleichterung. Im Gegensatz zum Doppeltorpedo war die T nicht mit Rücktritt erhältlich, was dem sportlichen Einsatz der T geschuldet war. 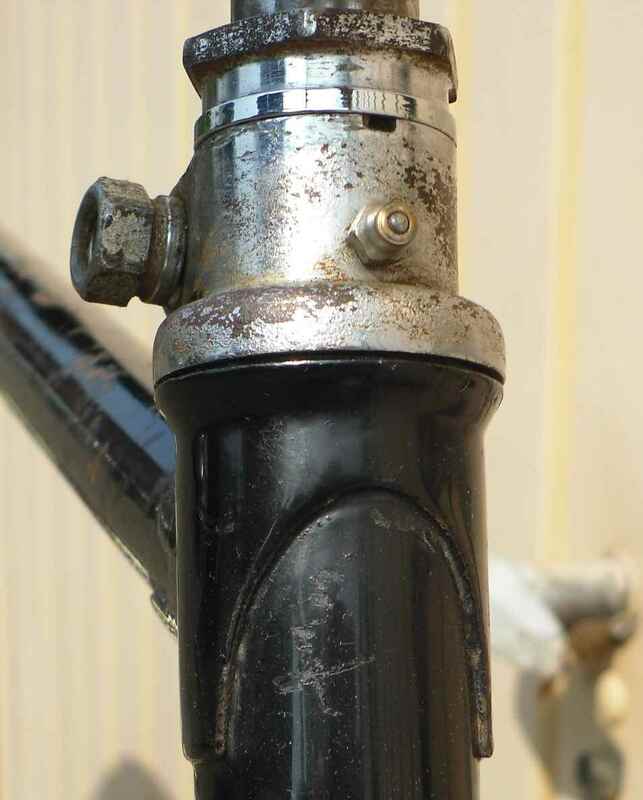 Es half der Kettenschaltung nicht gerade, dass Raleigh, die größte Fahrradfabrik der Welt mit fast hundertprozentiger Fertigungstiefe, bis mindestens 1948 ausschließlich Nabenschaltungen von Sturmey, das Raleigh gehörte, verbaute. 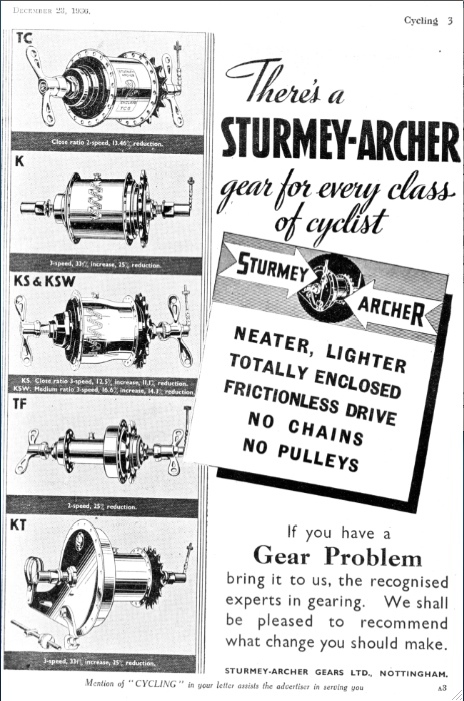 Weiterhin wurde Sturmey natürlich nicht müde, Rennerfolge und Rekordfahrten, bei denen seine Schaltnaben verwendet wurden, in der Werbung herauszustreichen. Tommy Godwin, der vom 1.1. bis 31.12. 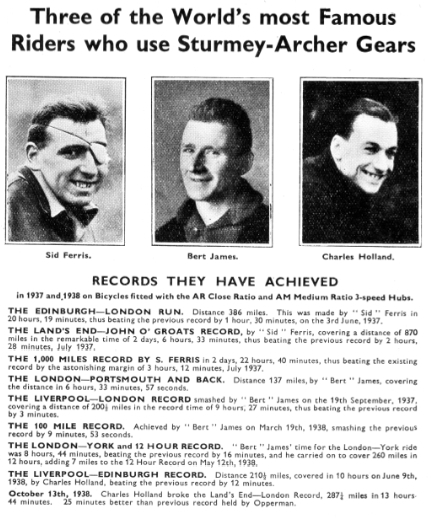 1939 einen neuen Rekord von 75.065 zurückgelegten Meilen aufstellte, fuhr ebenfalls eine Sturmey-Schaltung, die AF-Viergang-Sportnabe. 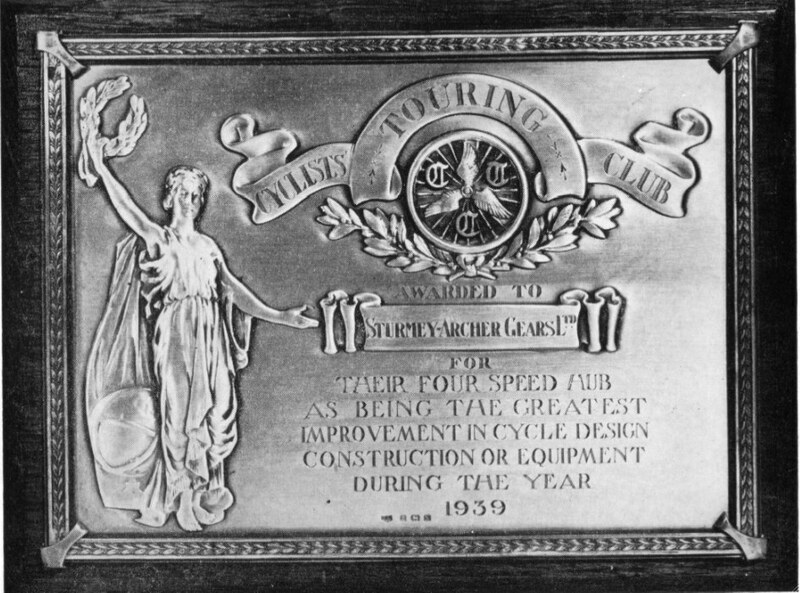 Die CTC Silver Plaque, eine in den 20er und 30er Jahren vom größten Fahrradclub der Welt vergebene Auszeichnung für die herausragendste Fahrrad-Innovation des Jahres, wurde 1939 an eben diese AF-Nabe vergeben, und nicht etwa an eine Kettenschaltung. 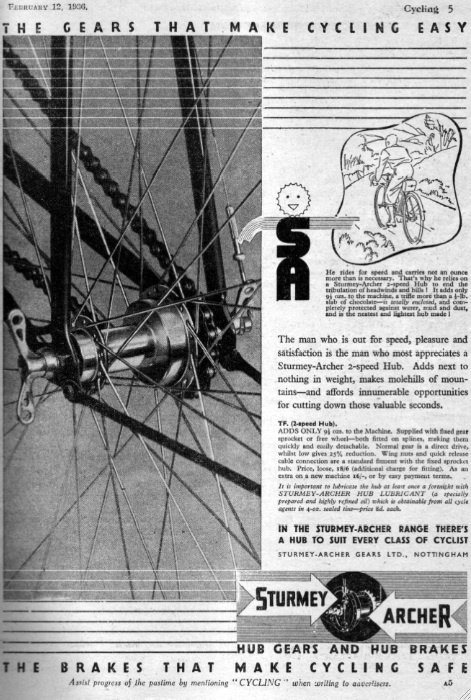 Selbst nach dem Zweiten Weltkrieg noch schuf Sturmey wahre Ikonen der Sportnaben-Welt wie die ASC, eine starre Dreigangnabe mit mittlerer Abstufung, die heutzutage bei Sammlern Höchstpreise erzielt und die 2010 von SunRace-Sturmey-Archer unter dem Namen S3X wiederaufgelegt wurde. 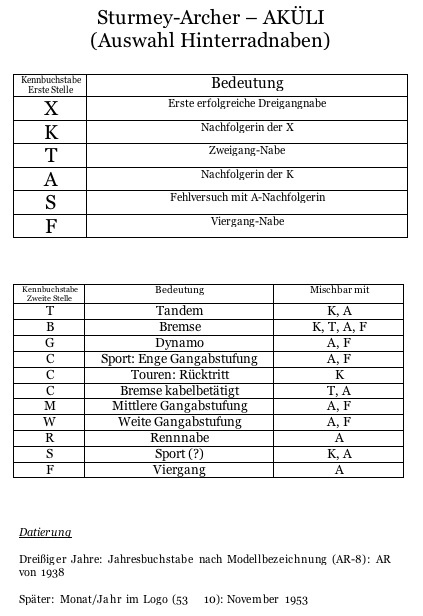 Die Innereien sind allerdings – wie die Übersetzung – verändert und entstammen teils der neuen Fünfgangnabe, die Funktion der freilauflosen Dreigangnabe allerdings ist identisch. 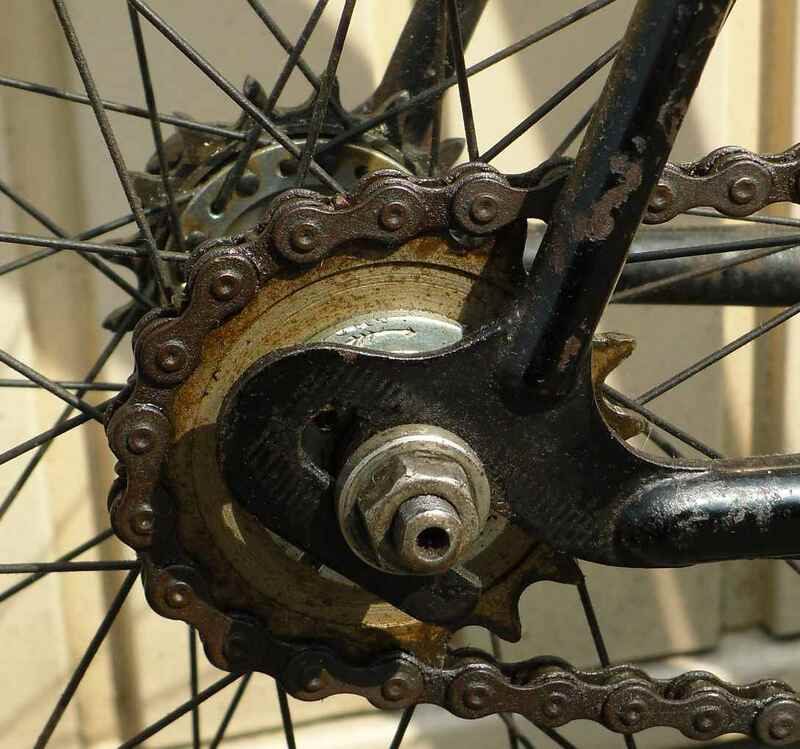 Und dies ist der Mann, dem wir fast alle der wunderbaren Sturmey-Drei- und Viergänge zu verdanken haben. Seinen Hut nehmen musste er nach der Pleite mit der SW-Nabe Mitte der Fünfziger. Er konstruierte praktisch alle Schaltungsnaben in der Anzeige unten, die aus der Mitte der Fünfziger, vor der Einführung der SW im Jahr 1956, stammt. Zum Schluss noch zwei Tabellen, die ich großteils nach Hadland zusammengestellt habe. Draufklicken zum Vergrößern. Korrektur: Bei der Datierung der Dreißiger-Jahre-Naben ist nach der Typenkennung kein Jahres-Buchstabe, sondern eine Jahreszahl verwendet worden. 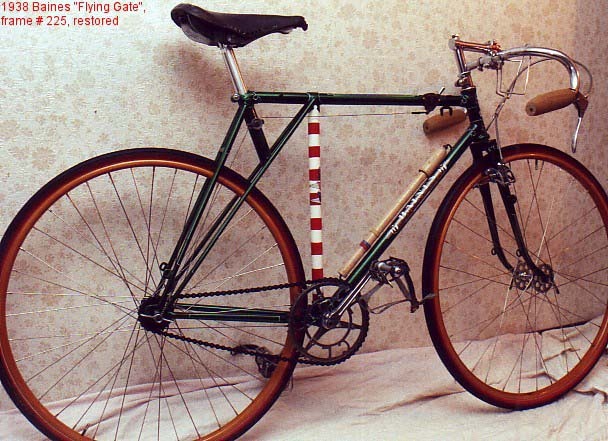 In 1991, when I still thought I might do a lot of track riding, and when I felt I needed a recompense for two years of gruelling job training, and its successful end, I went ahead and ordered a special frame from David Miller in Preston. At the time he was the one you had to approach when you wanted a Hetchins, and curly stays it had to be. 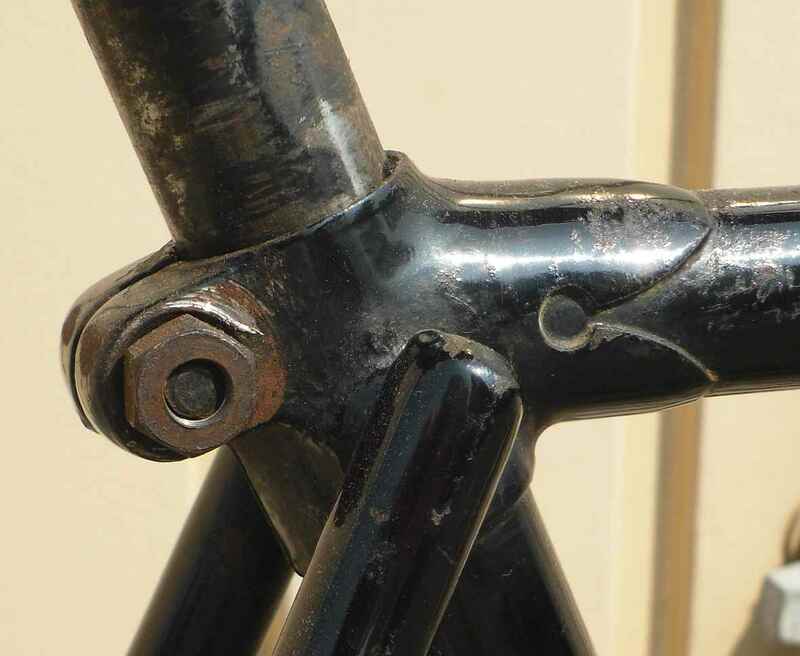 His framebuilders must have had a well-filled odd parts bin then because he offered to have a real track fork built; twin plate crown, round taper blades and all. 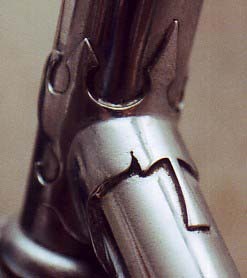 It was to be a Novus Ductor model because I really preferred something less elaborate in the way of lugs than I had had on my Mercian some years earlier, but Dave just spared the bottom bracket, and nowadays I quite like the outcome. 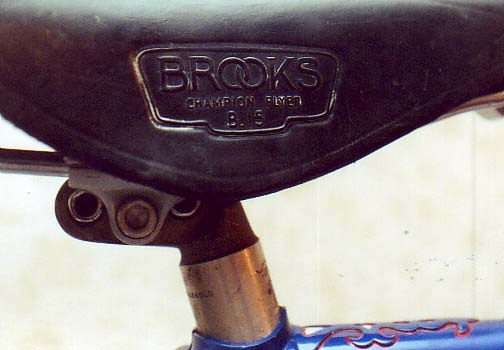 At first I equipped the bike with a mixed bag of parts; I remember a Maillard rear hub and an old Brooks Standard. From the beginning I wanted a bike which was also road going, so I ordered the fork crown drilled and mudguard eyes added. 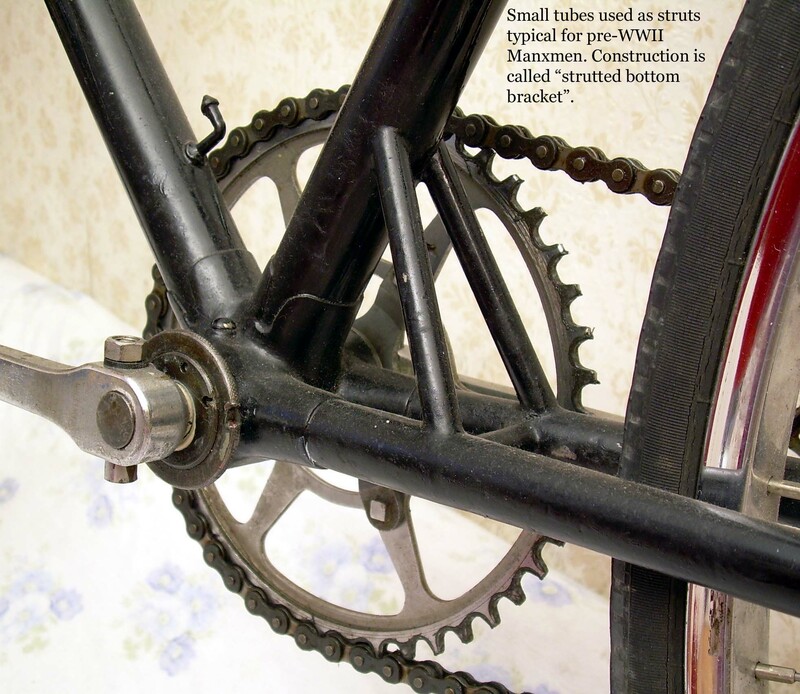 I didn´t care about a rear brake bridge because there were rearward facing track ends with a 120 mil spacing. 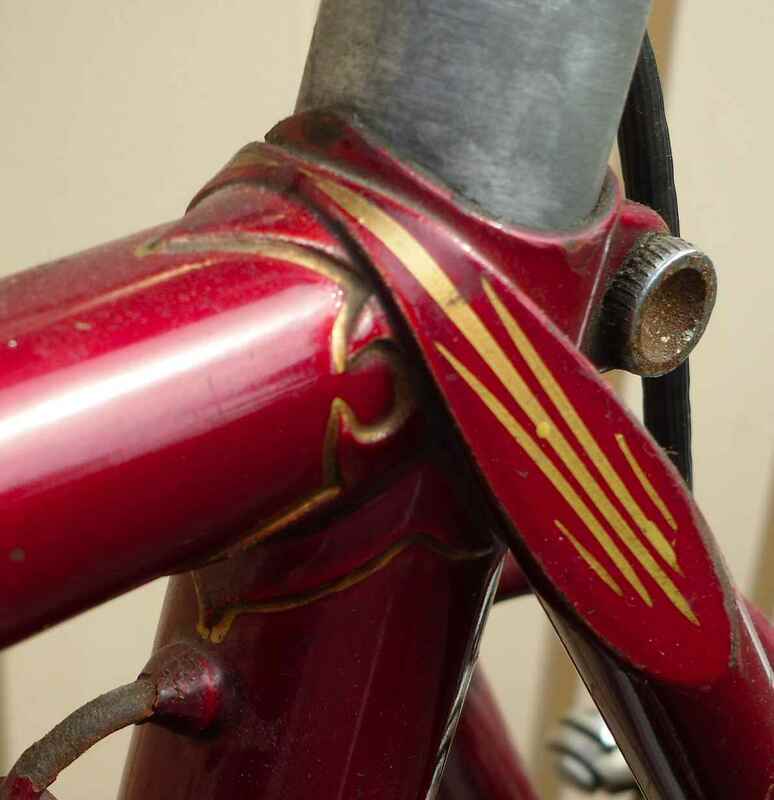 I can remember Dave saying that his new cast headbadge was that big that many smaller frames couldn´t be fitted with it, but that there was space for three on my frame. Next came the NR track groupset which is depicted in the first picture, but my track riding declined, I moved to a hilly area with the closest track 65 km away, and the Hetchins started a long hibernation. 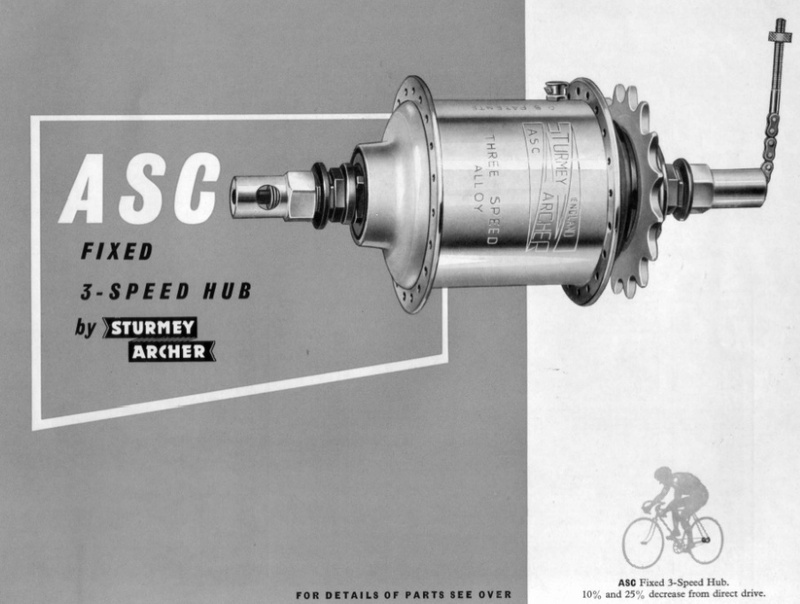 Then there was Sheldon Brown and his idea of resuscitating the fixed three speed Sturmey ASC. I was thrilled from the start, and got one as soon as they eventually came out under the name of S3X. I used the Hetchins much more, and decided to equip my around town bike with an S3X as well. 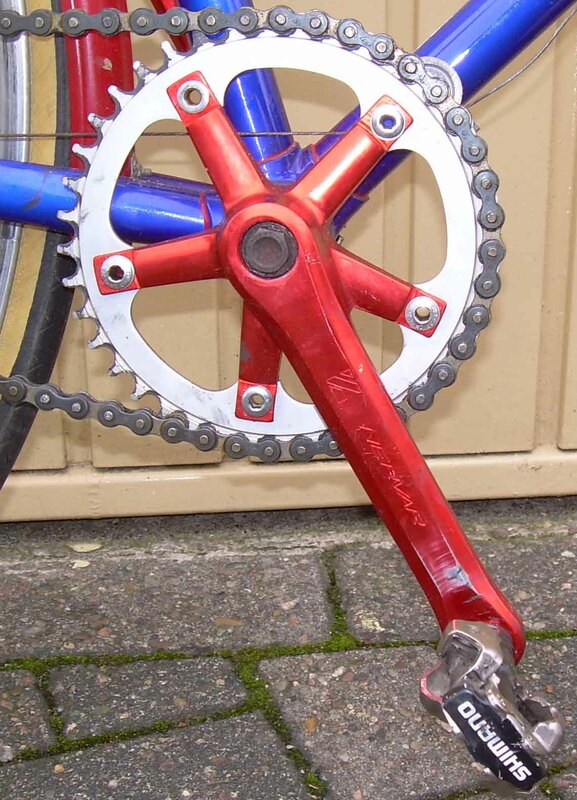 I took the silver shell one for this, because the second one I bought, used off a fellow CR member, had a red shell, and as I also had found red cranks quite by chance, I thought they might make a nice pair. 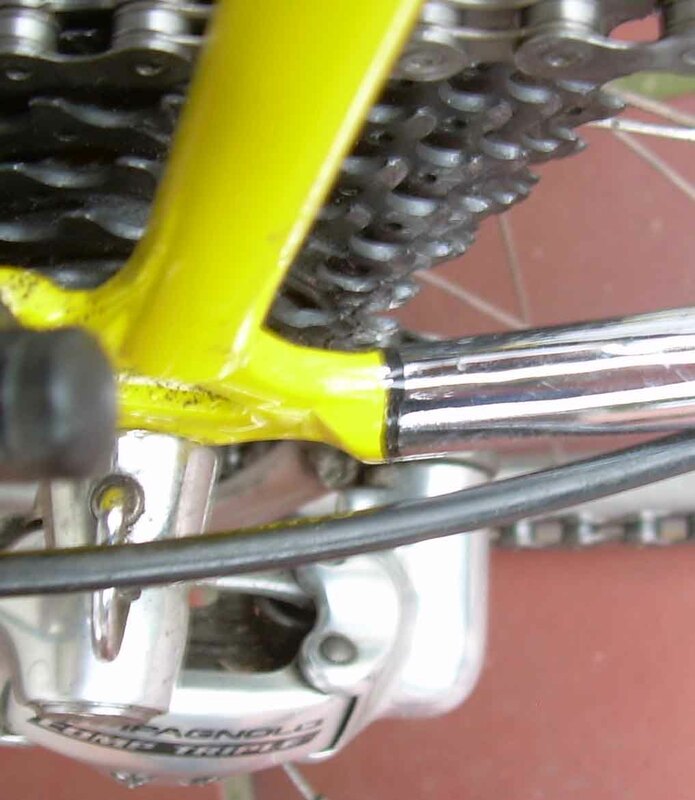 One more part which I replaced now that I´m riding the Hetchins more was the saddle. I had scored a B15 Champion Flyer (which is much narrower than the Narrow) some years ago. 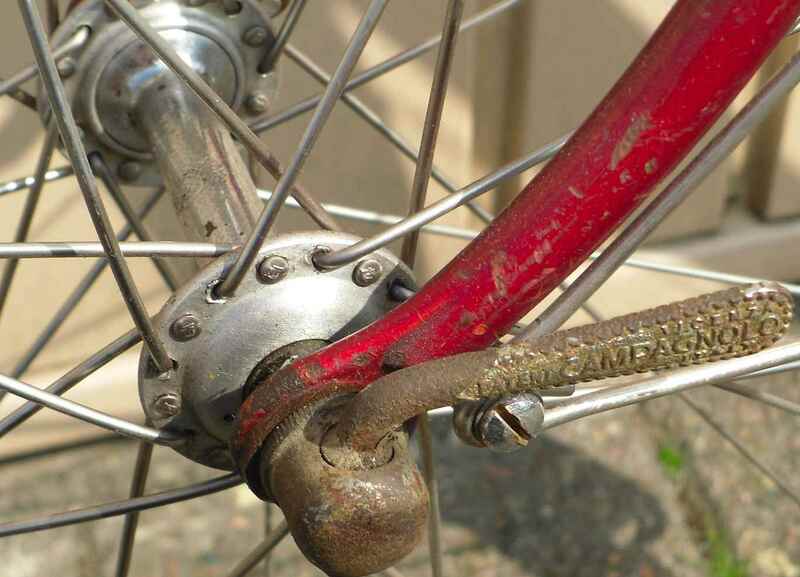 It looked superbe but was a superbe torture instrument when ridden. 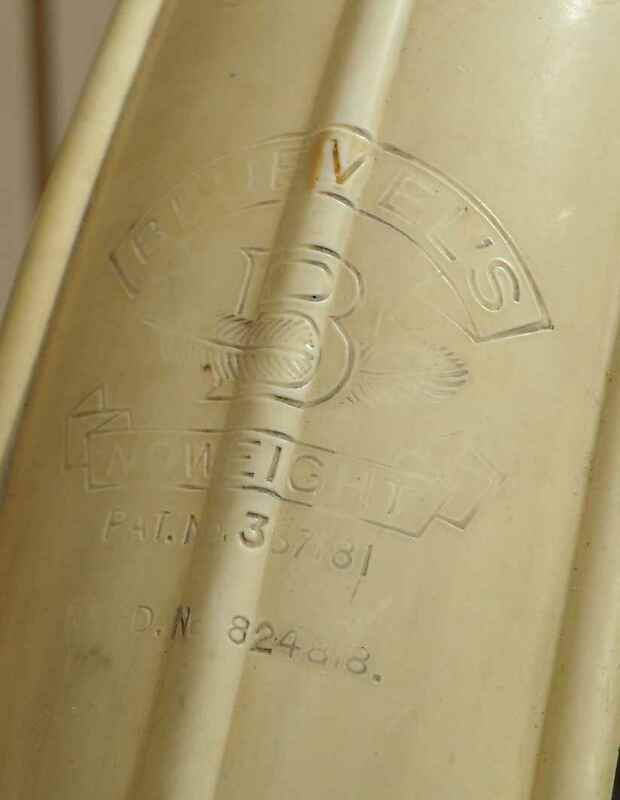 Now there is the modern B17 Standard I bought with the 1958 Ellis Briggs. And this is what the bike looks like at the moment. I´ll keep you posted for any changes. No story with this one, just a frame that I bought about 15 years ago and which I hung a lot of nice bits on. 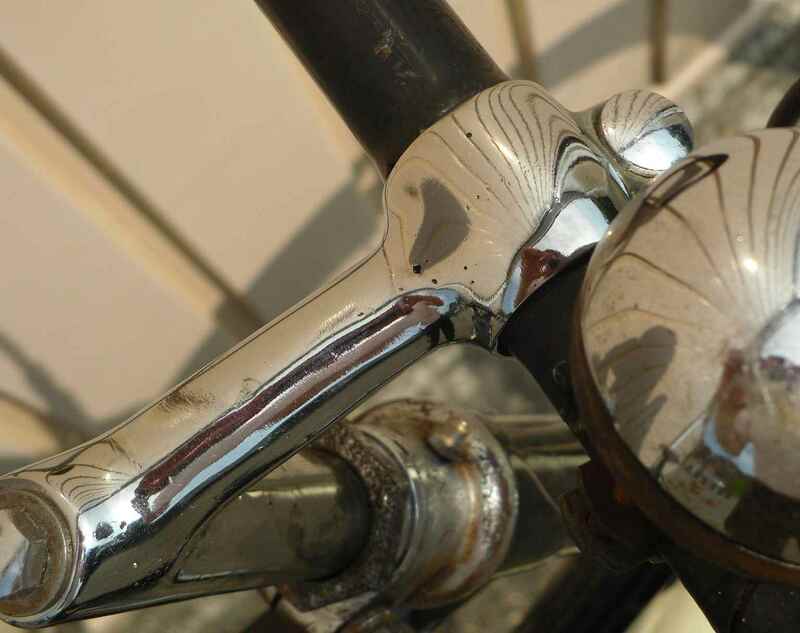 I must get round to replacing the modern seatpin with a period one. According to Trevor Jarvis this is one of the earliest surviving Gates. 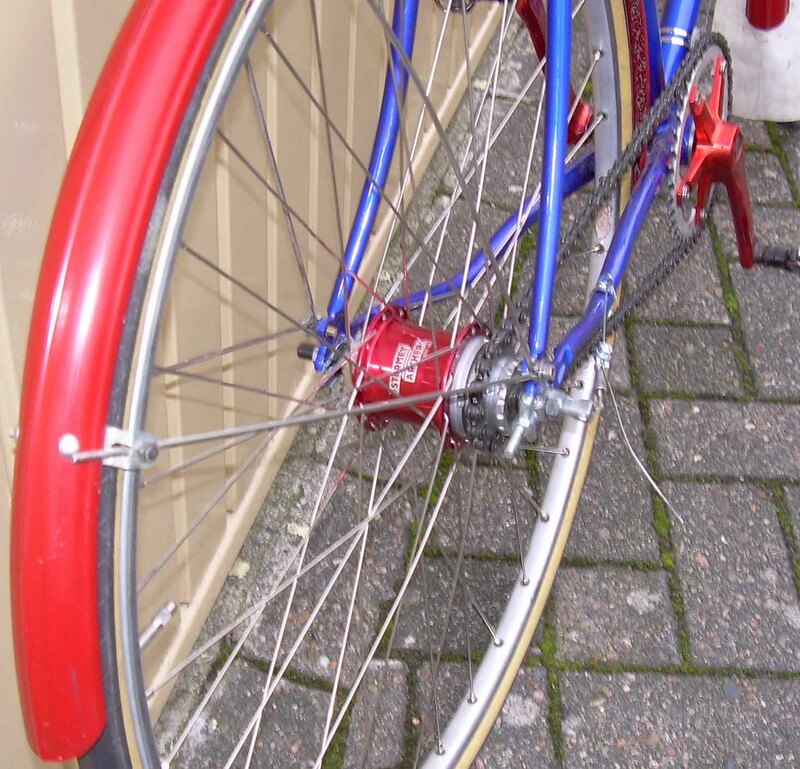 New old stock rims – I unwrapped them after they must have been wrapped for the best part of half a century, or even longer. 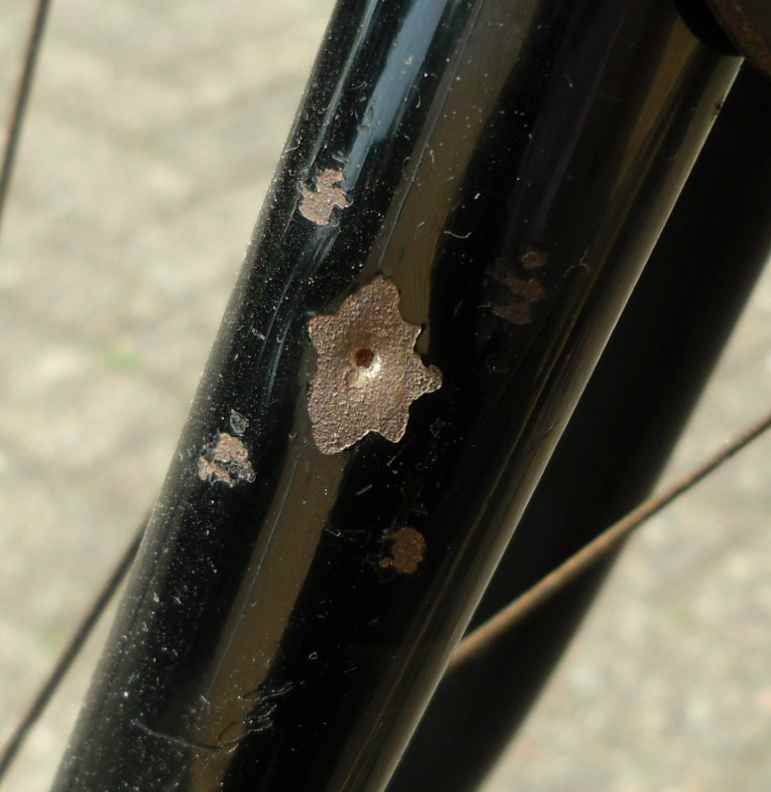 Had to drill out lacquer that had run into the spoke holes, one by one. 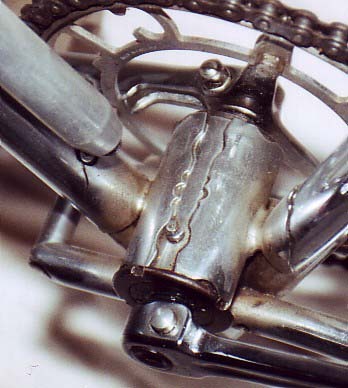 Resilion Cantilever brakes – the in stuff during the thirties. Beasts to set up, though. 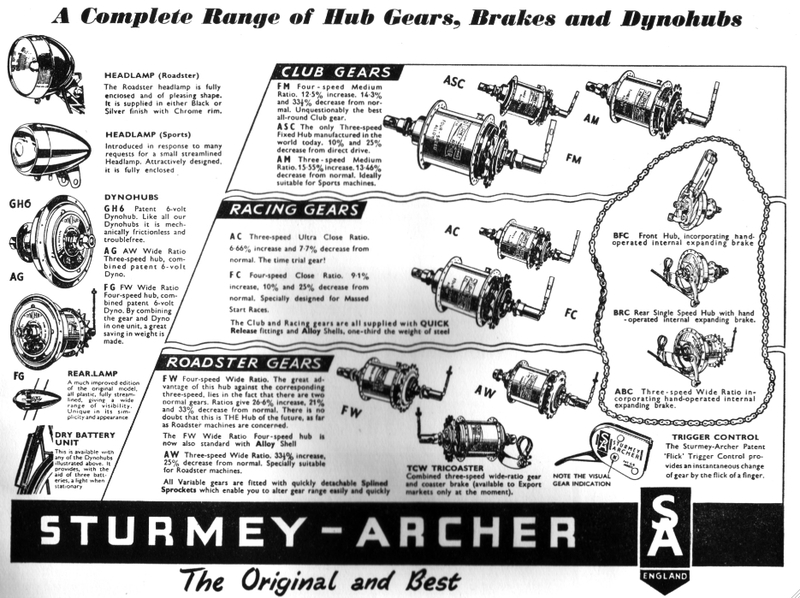 Sturmey-Archer T hub. 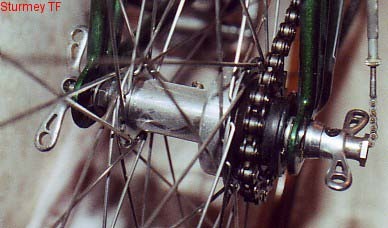 Two speed fixed, medium ratio, was intended to save riders the flipping over of wheels when wanting to change gears on a double sided fixed. 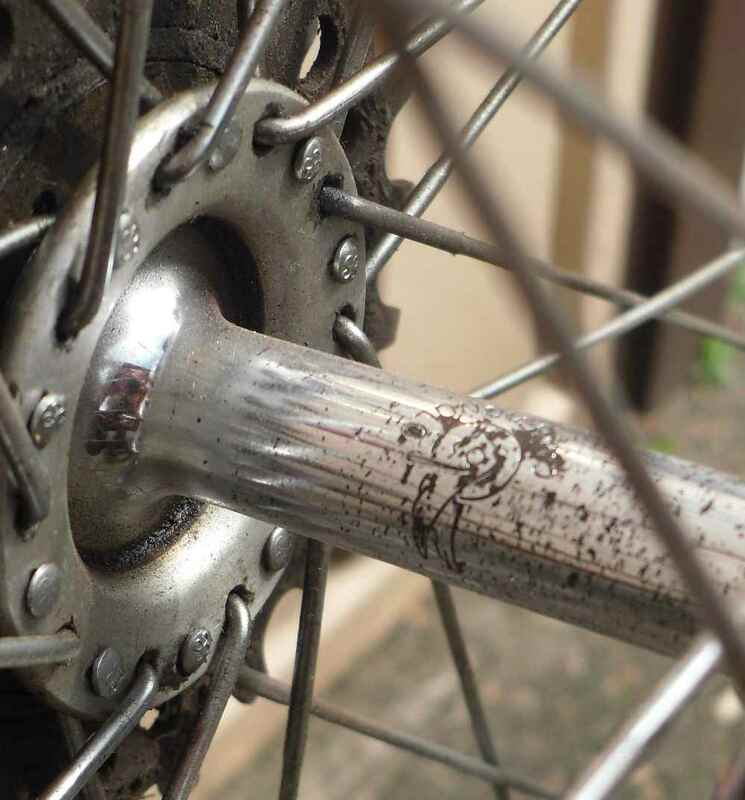 If you slide a freewheel onto the 12 spline driver you have a freehub. Was advertised as weighing less than a bar of chocolate, or something like that. 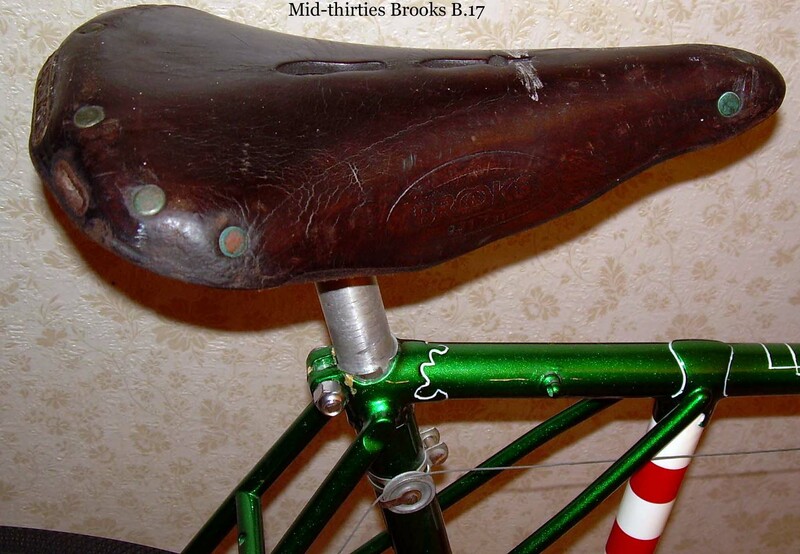 Great period saddle. Looks worse on the photo than it really is. Weighs more than a bar of chocolate, definitively. 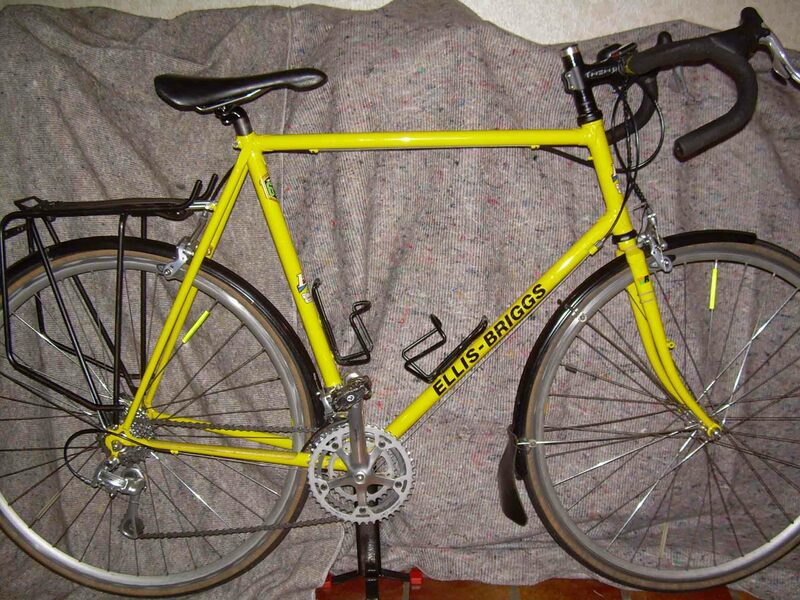 … I might as well post a bike which is also my son´s, though he´s long grown out of it. 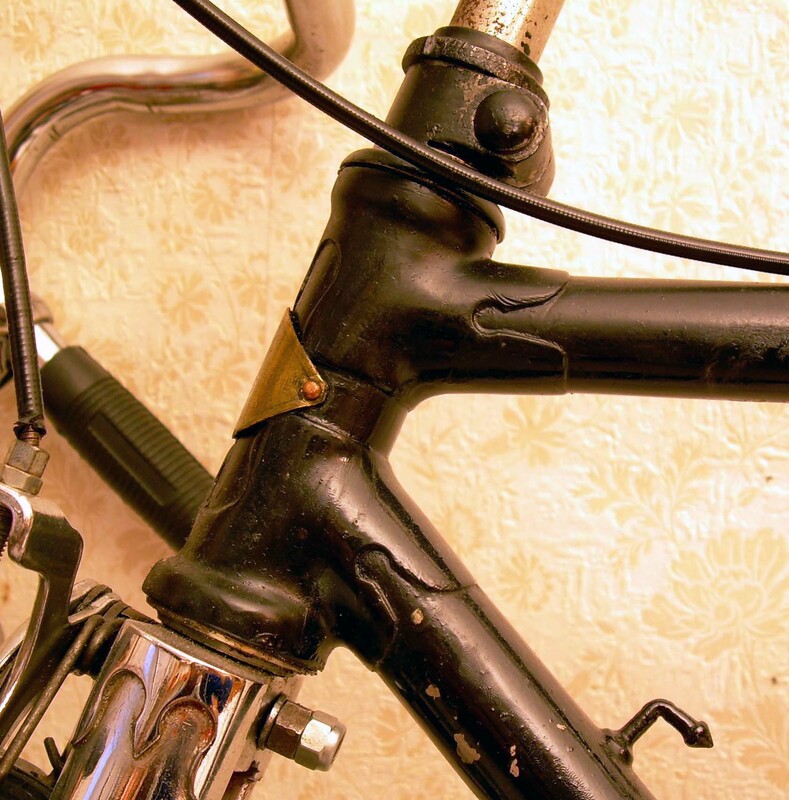 It introduced him to fixed gear riding at the age of 12 – can´t start soon enough. He used it last in track guise about two years ago (?) when the new Apeldoorn/NL indoor track was opened with a show ride on old steel. Here´s two more snaps before I have a little story about it. At the first edition of the marvellous Oudenaarde/Belgium Retro Ronde run there were a few participants who came on, let´s say, iffy bikes. 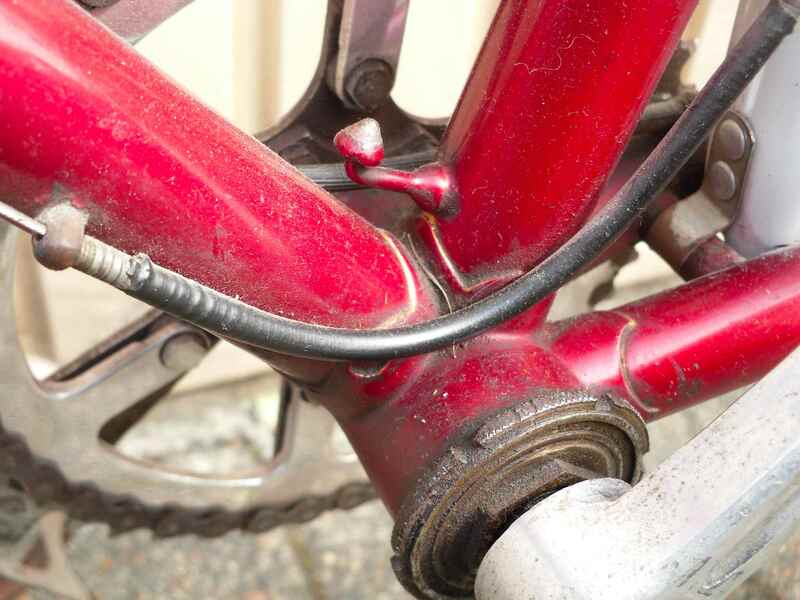 Especially one woman rode a Peugeot which wasn´t roadworthy at all, and neither she nor her partner could do anything about it, and they were looking quite forlorn. So we stopped and after a while my son became bored with waiting for the repairs to be finished. As he had had two seasons of randonneuring, having learned to navigate by signposts and often seeing them before I did, I suggested that he ride ahead, and off he went. After some minutes I gave up on the Peugeot and cycled on myself. I knew that my son wasn´t a slow rider and so I wasn´t worried when I didn´t catch up with him for some time. At the food stop, a farm, with free ice cream, there was no sight of my son. I even went to where the children could stroke rabbits, also free, but usually not my son´s idea of spending an afternoon; however, no son. It dawned on me that he must have had lost his way. It then turned out that that very day our mobile phone provider did not offer any services abroad, major computer problems, so no mobile phone, either. I began to get decidedly nervous when a slightly distressed child on a 1940s Sun raced round the corner and came to a screeching halt in the farmyard. A number of free ice creams later it became clear that my son had indeed overlooked a signpost and gone the wrong way, but then had done just what we did when getting the route wrong on a ride, turned round to find the sign right at the beginning of the stretch he had started on his own. Who says kids can´t have any adventures nowadays? 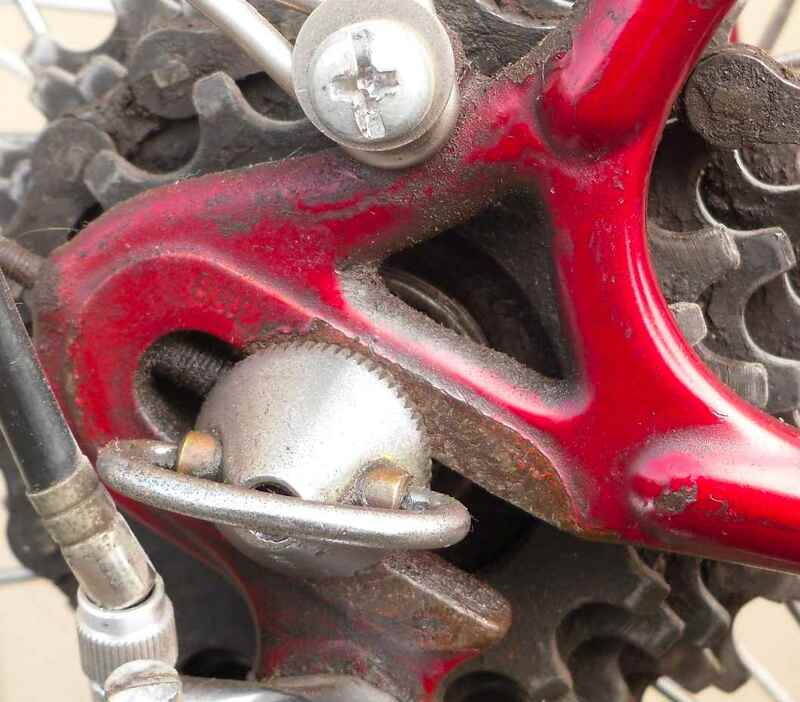 A word of warning before I start: I need to be careful what I write now, because my son reads this blog, and this post is about him, or his bike, rather. Let´s start at the beginning. About five and a half years ago I cycled to the next town, can´t remember for what, and there was a cycle race going on, a criterium by the looks of it, and I somehow got infected again. 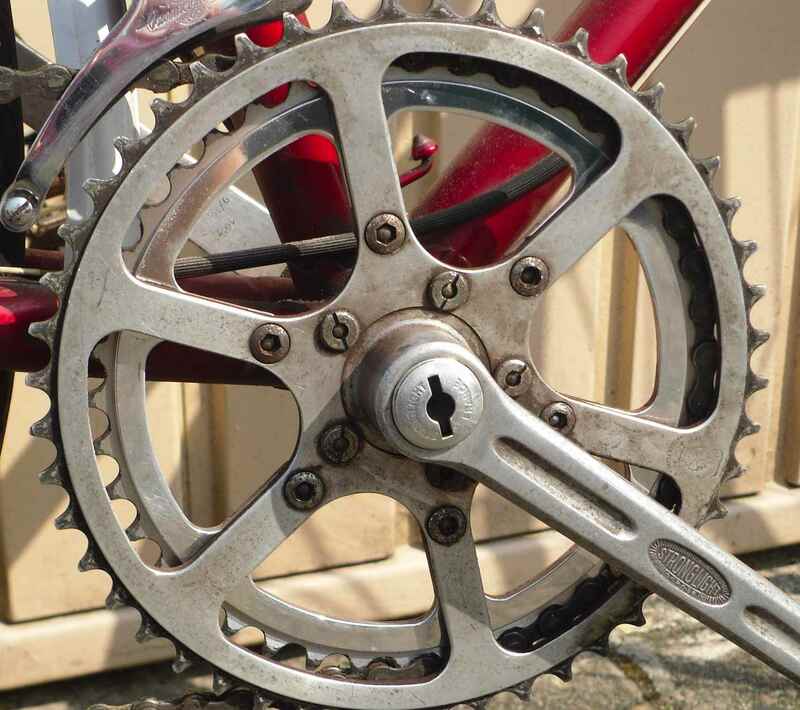 I had been an avid cyclist until we started our family, started with jobs, and so on. But here it was, the cyclerace, and I approached someone who turned out to be a friend of the local cycle club president. My son (11) and I went to a training ride, he loved it, and became a club member months before I did. The good thing about your offspring being a cyclist is that you can tag along, get some miles under your belt, and there´s no need for weekends spent watching Physical Exercise atrocities like soccer, or judo, while every fortnight a van load full of smelly team jerseys needs to be washed. The shortcoming is that your son needs a bike, which can become rather an expensive affair when he´s a) growing fast and b) cycling fast. 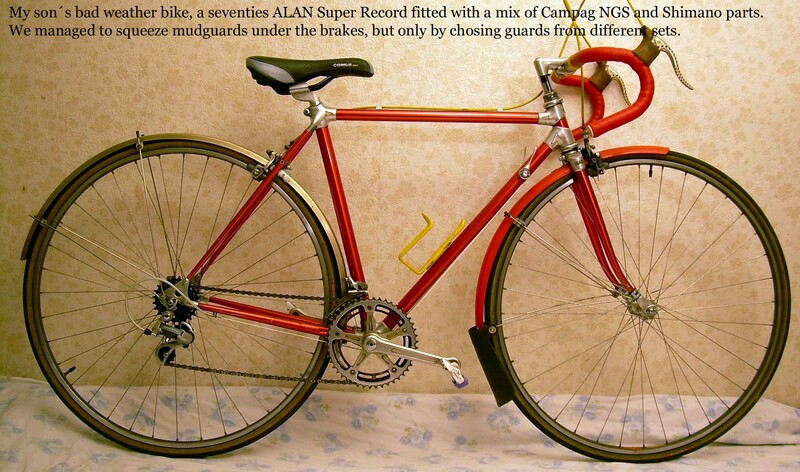 Luckily I have a hoard of bits, so when we were given a nice 1970s Alan, we were settled for a year. 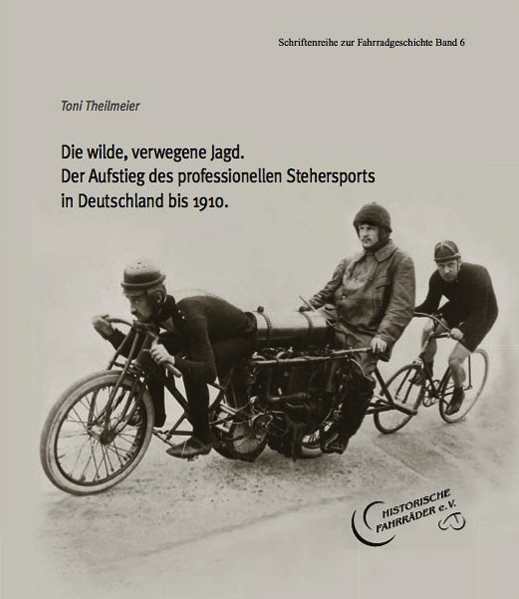 The frame had belonged to Rüdiger Rabenstein´s son, and Johannes loved the bike. He grew out of it quickly, though. 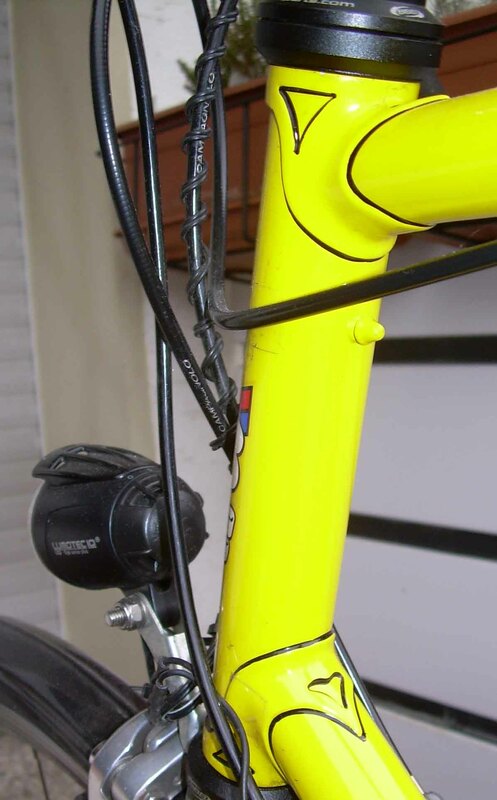 When on a sportive we stopped at a cycle shop which had a used Trek OCLV for sale, small frame, 9sp. Veloce, so after a quick family talk Johannes was the proud owner of a US Superbike. Alas not for long. A nasty training exercise due to lack of communication in the pack led to a fractured arm and a fractured frame. 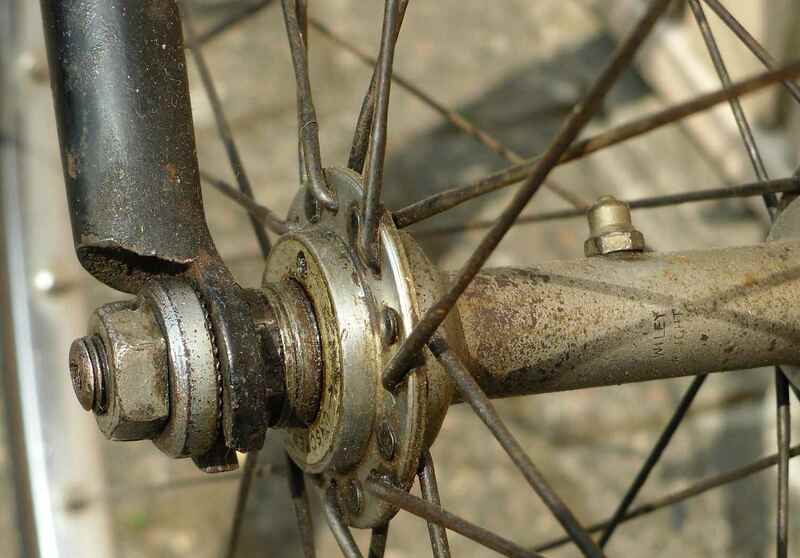 The groupset was salvaged and put on a Gazelle I had scored some months before. I had bought it for the price of the Mavic wheels (501 hubs, MA40 rims, I think) and was very pleased I had it. 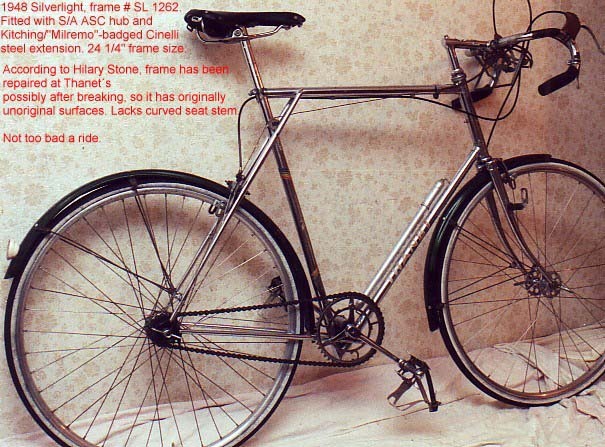 It was a very pretty and capable bike, but there was no room for mudguards. We had stopped training for races after the accident and concentrated fully on sportives/century rides/RTF/velorandonees, whatever you want to call it. We enjoy these greatly, and my son is very successful at it; he had been North Western German champion three years running and came second (by 30km…) last season. 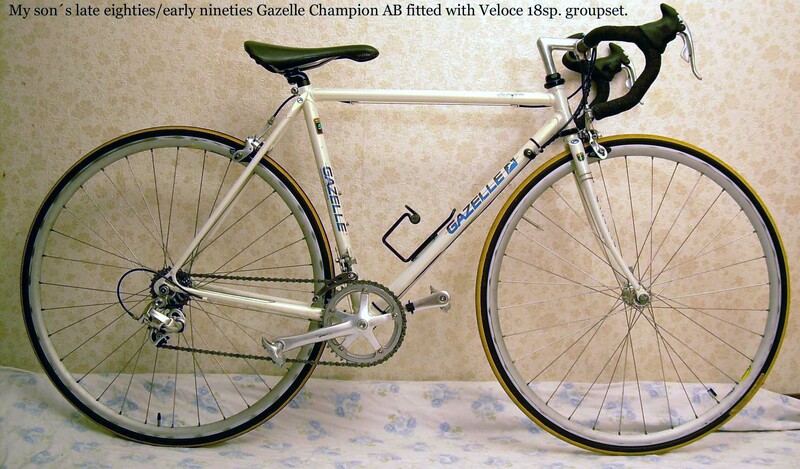 After the Gazelle had been outgrown (it now hangs in my son´s room over the shelf with all his many cups) there was the brief intermezzo of a Czech Fort frame with the same hardwearing Veloce groupset but braze ons for mudguards and a rack. That was much better. The black Bluemels Club Specials came out of my boxes and the Tubus rack was given me free by our LBS because it had a small dent and some scratches. The following Christmas yielded a Son 28, an LED front light and a great rear light, too, in a combined effort by parents, aunt and grandparents, especially the latter. As my son was 14 then Father Christmas had no part in the matter. 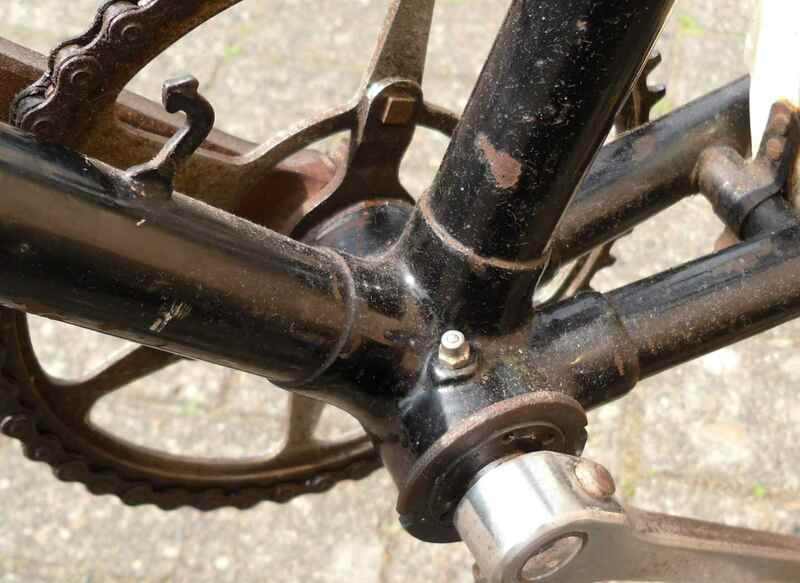 Next there was a bad case of chainsuck which damaged the chainstay that badly that neither me nor our LBS could decide if it wouldn´t have to be replaced. So off the frame went again to Shipley, and it turned out that the stay could be saved. 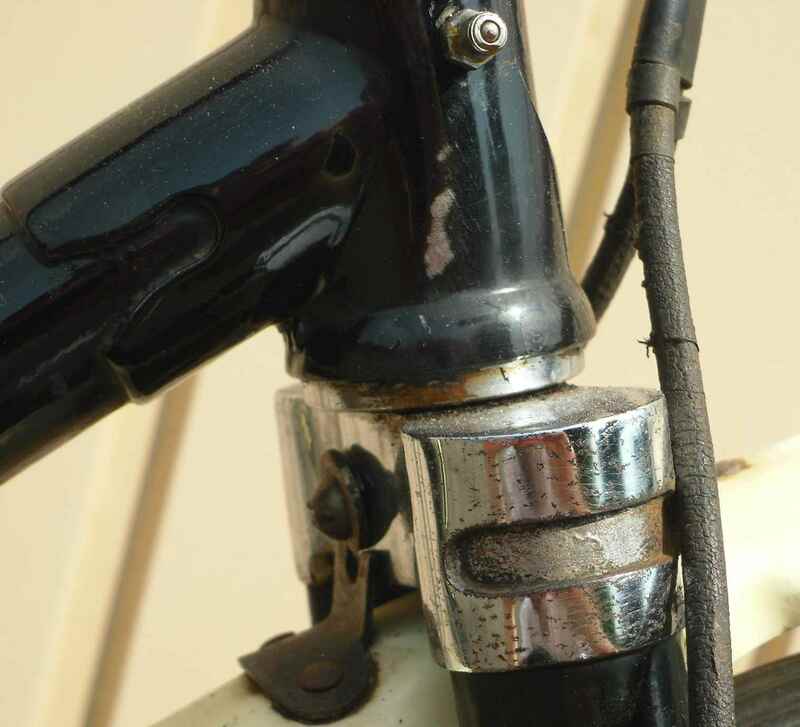 Not only that, but now the frame was in for repairs I was able to order a decent front derailleur braze on and chrome on the chainstay. Also I had the lugs lined in black, which has the bike look very nice now. When I first ordered the frame I chose a slightly taller size than might have been necessary because my son had grown a lot all the time, but as it goes he chose to take a break as soon as the bike was ready. Now it is really great, something to be proud of, growth has re-started with a vengeance. There´s still some centimeters frame height left, luckily. 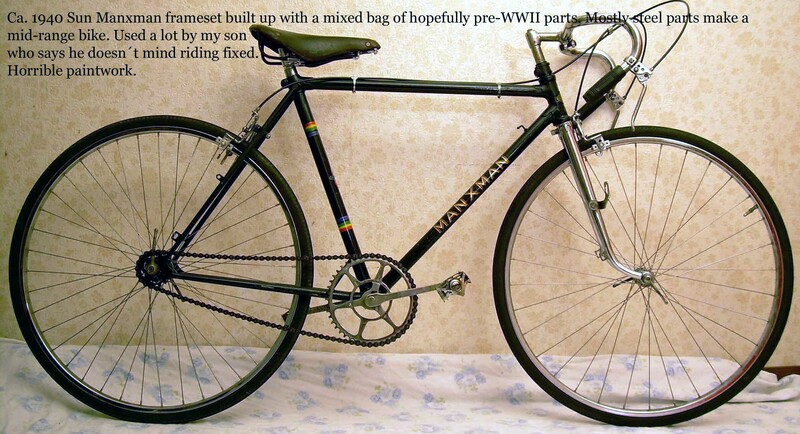 So there I was about 15 years ago, looking for a really old bike, in my size so that I could ride it. 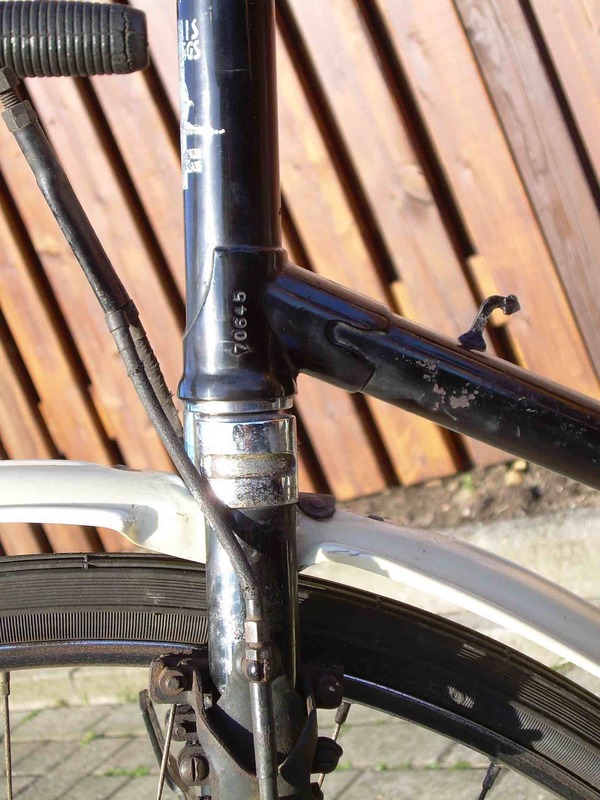 I´m 6´6″, which doesn´t help in many situations but it makes finding rideable old bikes more difficult than most things. This friend had bought the frame some years earlier in the former GDR, just after the wall had come down, when all sorts of antiques could be had for a song. Most vehicular antiques, however, had had a hard life, and my Allright – the frame had proved to be of the famous Cologne brand – was no exception. 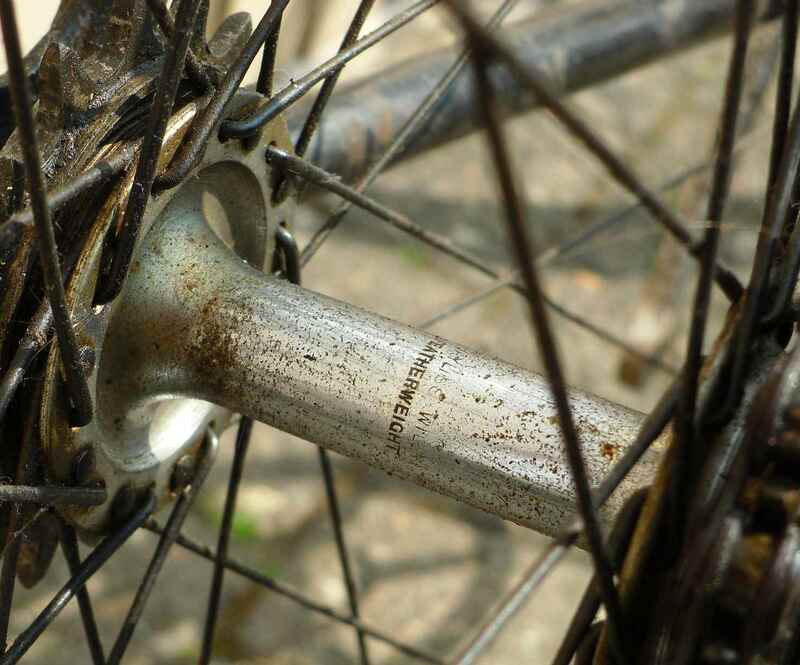 The front fork had been replaced, there were no parts left besides the bottom bracket and the chainset, the rear triangle had holes because people had used too wide tires, regardless of the drag caused by the tires rubbing against metal, there were dings and dents everywhere – ugh. The frame had obviously been used for a long time, and in a completely different role from its original glitzy racing one. Was it worth saving? I had by then become certain that it constituted the remains of a motor paced machine dating from about 1904, and many phone calls and letters later I had heard of no motor paced machine which was earlier, so I went ahead and sent the frame off to David Miller in Preston, of Hetchins fame, who really put his framebuilders, chromers and paint people through their paces to get this wreck back to a state appertaining to its former glory while I scoured the land for suitable parts. 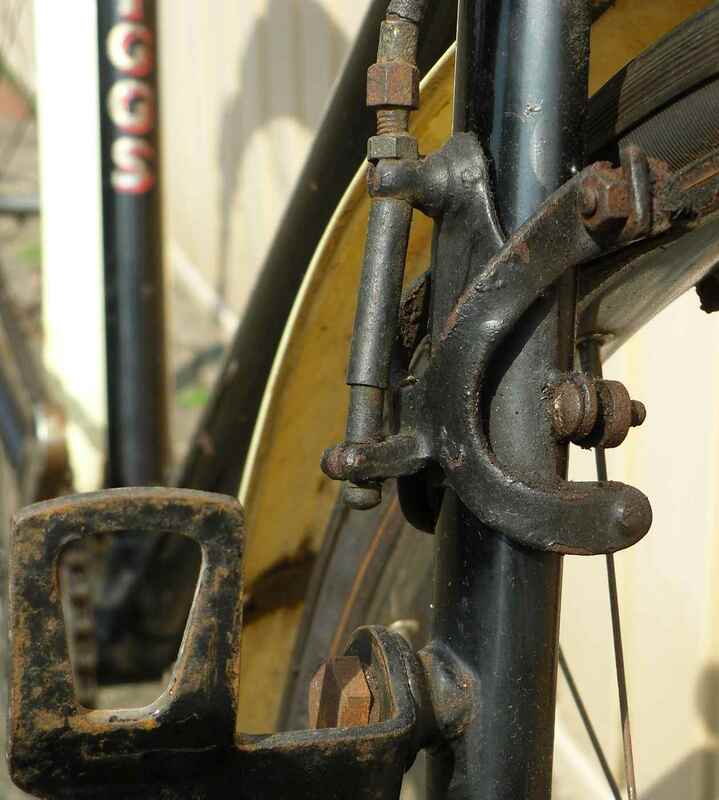 These proved impossible to find, so the state the bike is in now is only an approximation of its 1904 condition. The worst part of it is the front fork which should have straight blades, but I only found out about that much later. 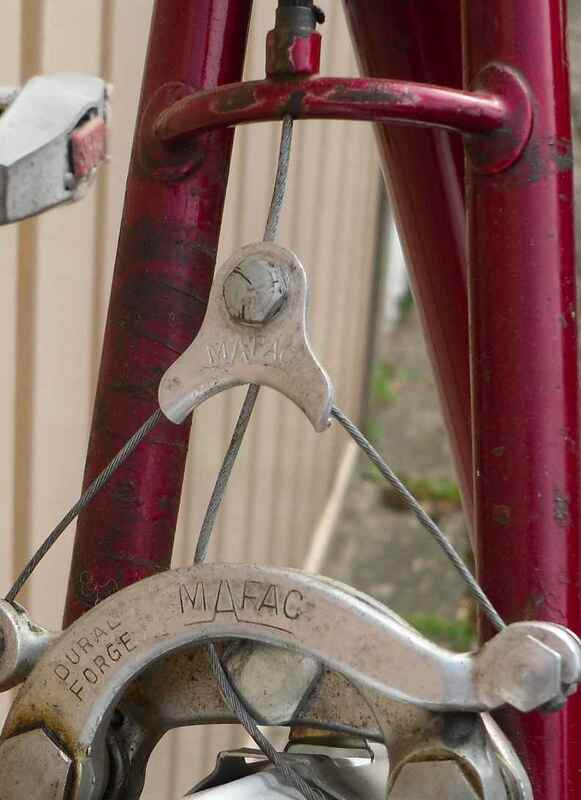 Nobody I asked had any info on very early paced bikes, let alone correct fork rakes. 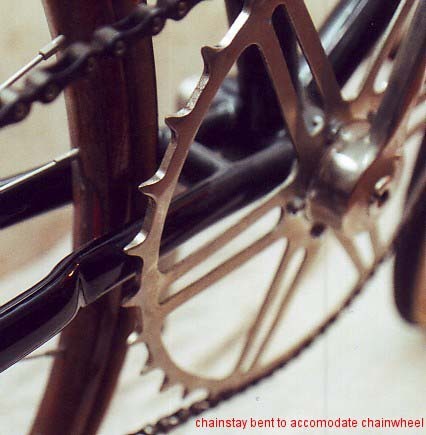 The piece de resistance must be the huge chainwheel which necessitated that the frame was built around it. 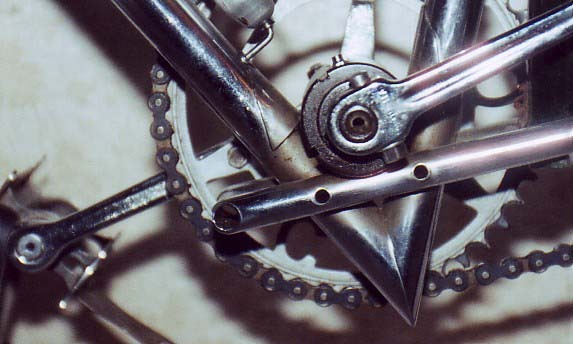 It has 33 teeth inch pitch which equals 66 teeth as we know it today. The block chain I used comes with a special story. Near where I live there is one of the very few surviving cycle tracks built for motor pacing, and there was a very old mechanic who had a workshop in one of the outbuildings. I went up to him and asked about a block chain explaining what I needed it for, and expressing my doubts if I could ever find one that had the right very old looks. The old mechanic walks up to a large blue plastic bin, estimated capacity 25 gal, and pulls several lengths of block chain from it, telling me to keep them. The bin was filled with them. Sadly mechanic, workshop and bin are no more. The headbadge had to be cleaned using a rotating metal brush on a dremel, but it has come out quite nice. 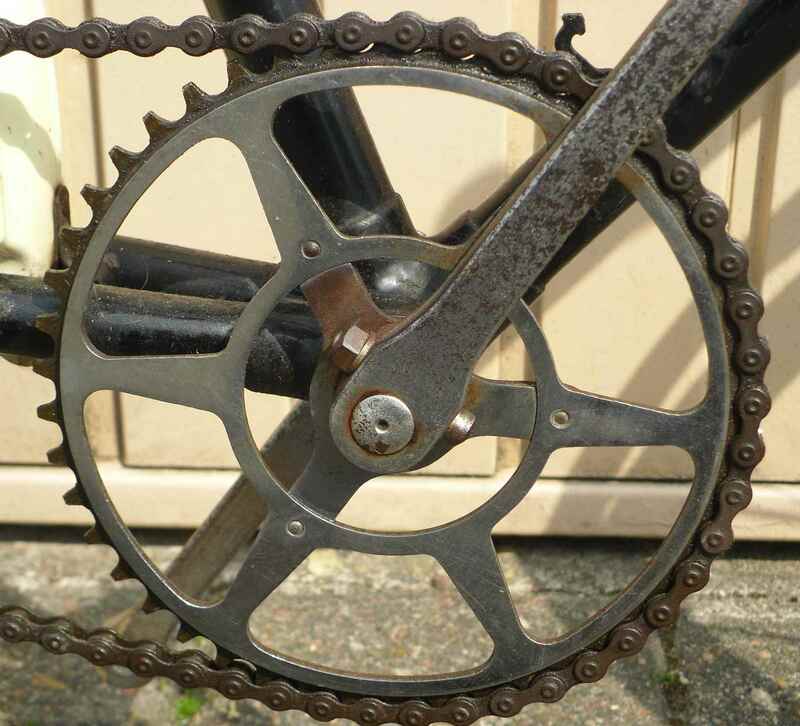 Another view of the geartrain – nothing one would like to pedal in road traffic. I hope it can still be bought at Maxime Verlag on the net; if there are some copies left they are 28 Euros plus p&p. It has 234 pages, hard cover and about 150 black and white illustrations. It is of course in German. 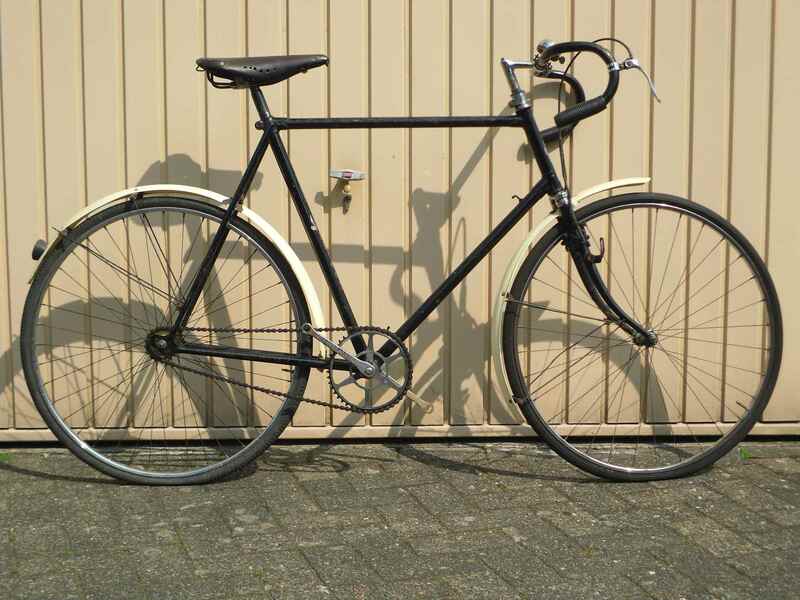 I have since found a bike of considerable age in my size, of that later. 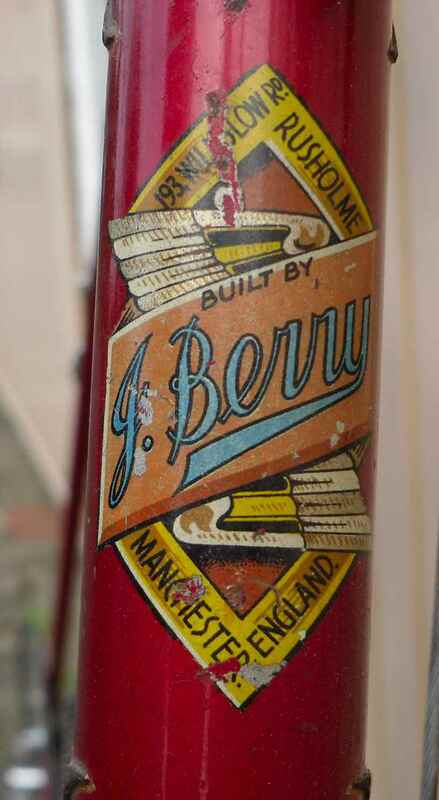 Back in 1957 well off textile businessman named Chris Hargreaves, fan of all sorts of outdoor sports, ordered a bicycle from Johnny Berry in Manchester. 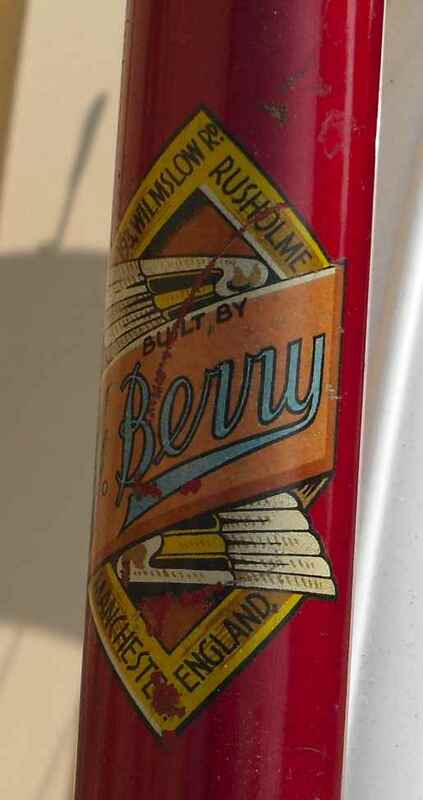 Berry´s was a shop you could not overlook when shopping around for a first class custom frame; there were rumors that he had even built a frame for Reg Harris early in his carreer. Both being members of the same cycle club must have helped. For certain American Audrey McElmury won a world championship on a Berry. 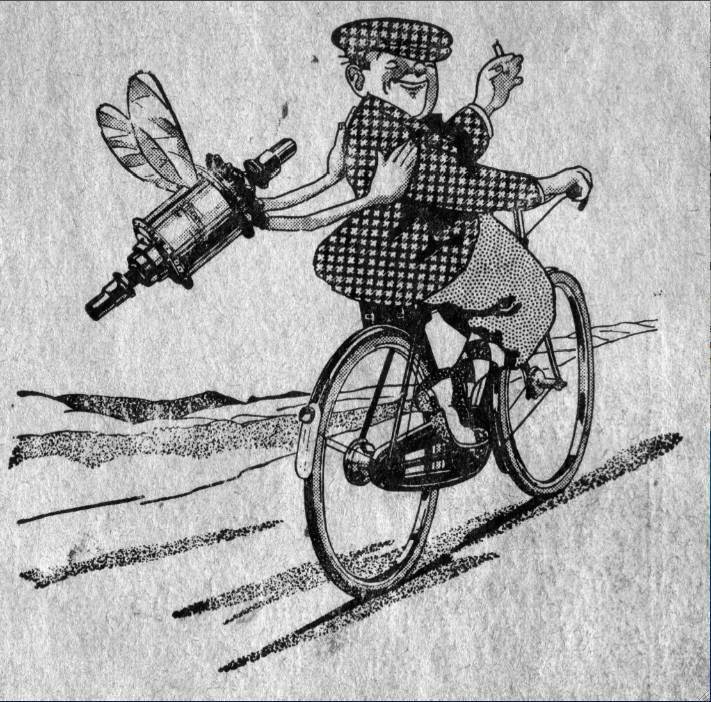 Anyway, around Easter 1958 the new bike was ready and taken to Pen-Y-Ghent in Yorkshire. Chris used it for some time, but it fell into disrepair after being taken to the US for touring by a grandson of his in 1981. 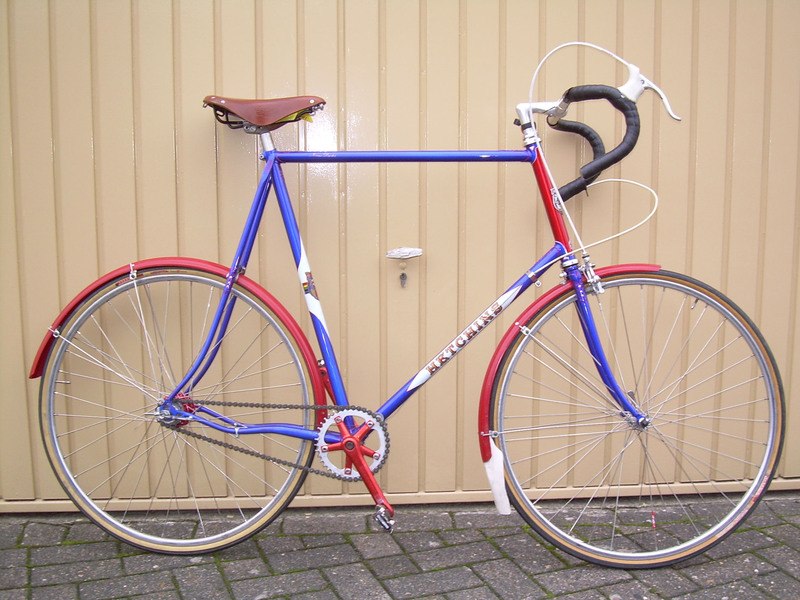 Before that, in 1974, the venerable club machine had been turned into a racer by a female member of a nearby cycling club. 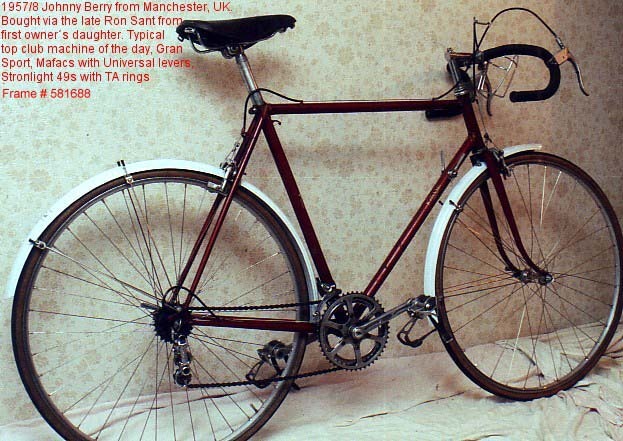 The bike, bereft of a number of parts, spent the next twenty plus years in the garage of Chris Hargreaves´ daughter before being sold to the late Ron Sant who was a great collector of Mancunian built bicycles. A few days after he got it I rang him asking for a specimen of North-Western cycle building art, and he was kind enough to pass the Berry on. I was over the moon. Later in the year we had a family holiday in the Macclesfield area, collected the bike and took it for a number of rides. 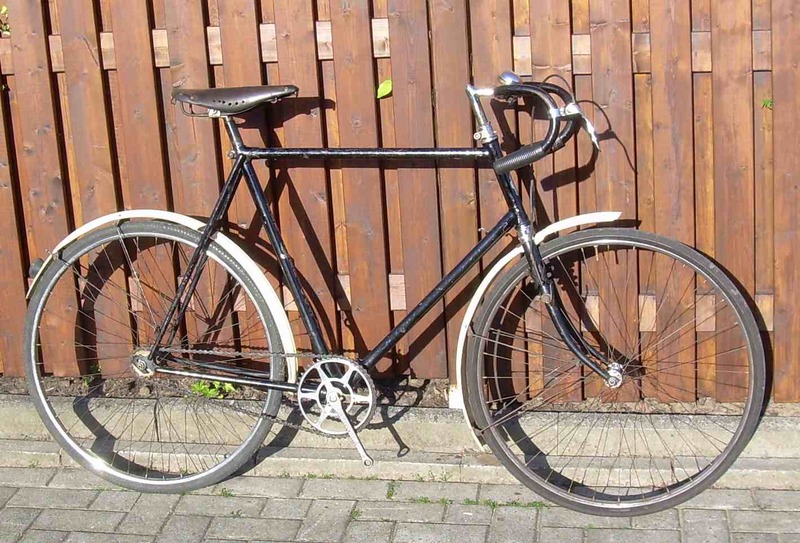 By pure chance I also acquired an old hack bike from a Glossop bike shop which became a donor for most of the parts needed to restore the Berry to its former glory. 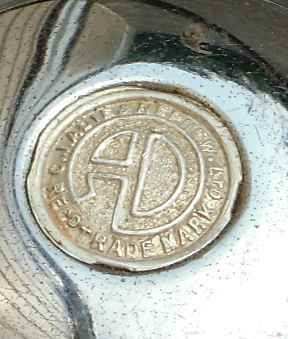 I also dropped in on the local Macclesfield bike shop to be given a 40 hole low flange steel centre Campag rear hub, just the thing I needed for the bike, and, given the rarity of such hubs and the proximity to where the bike had lived, who knows it might have been the original one. 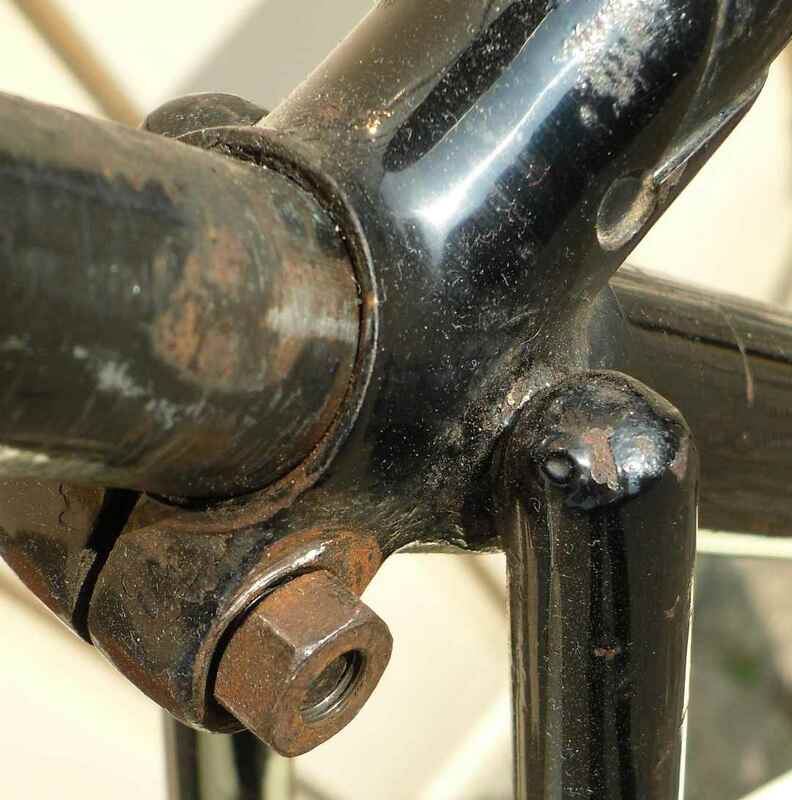 Given the fact that the paint of the frame is quite scratched and looks scruffy, the state of the hub and the open C q/r lever is OK. I knew what the bike had looked like because Christine, Chris´ daughter, had given me some photos from her family album showing quite well what the first equipment of the bike was. 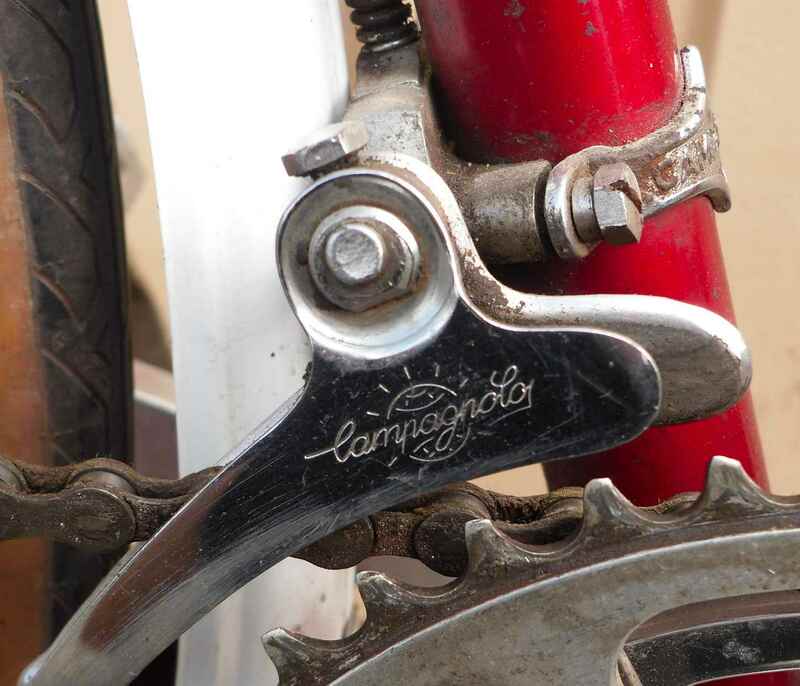 There is the typical mix of British and Continental parts you would find on a high-class cycle of the late fifties: Reynolds tubes, Nervex lugs, Stronglight cranks with TA chainrings, Mafac brake calipers with Universal levers, a Brooks saddle, Campag derailleurs and hubs. Although the frame is quite a bit too small for me it still is one of my favourites. I have ridden it in a number of events, and for fun. 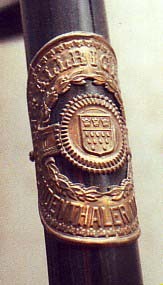 I don´t kno what it says on the extension, but the brass badge looks nice. 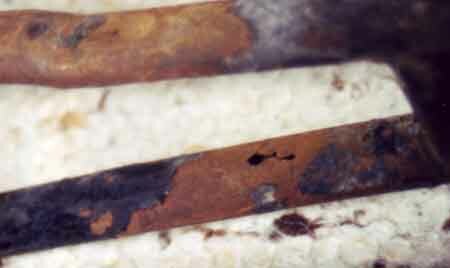 Again, the same grade of patina as the rest of the bike. 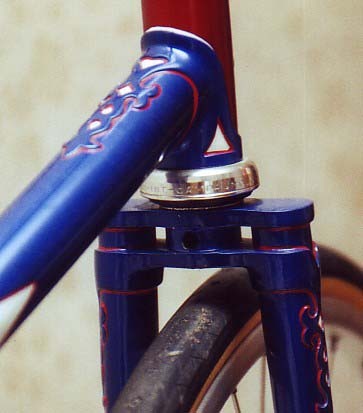 The first owner specified Nervex Pro lugs – Berry built frames with other lugs at that time, too. All in all, a great bike and definitively one I feel privileged to own. … that´s it´s quite nice, and I got it because I had the flu. This was in the days before the internet, when people sent real faxes. There was this friend of mine who sold the bike collection of a deceased friend of his as the widow wanted to get rid of all of it. He wrote a list and faxed it to a number of interested parties, among which there was the party off work in bed recovering from a bout of the flu. So I heard the fax machine working, went to get the message, saw instantly that there was something special (size!) there, picked up the phone and seconds later I had secured the frame. I was told later that among the many reactions to the fax there was one by an American who phoned from the airport saying he was on the way to get the frame. Good thing he phoned before departure and not on arrival. And here is what I made of the frame. 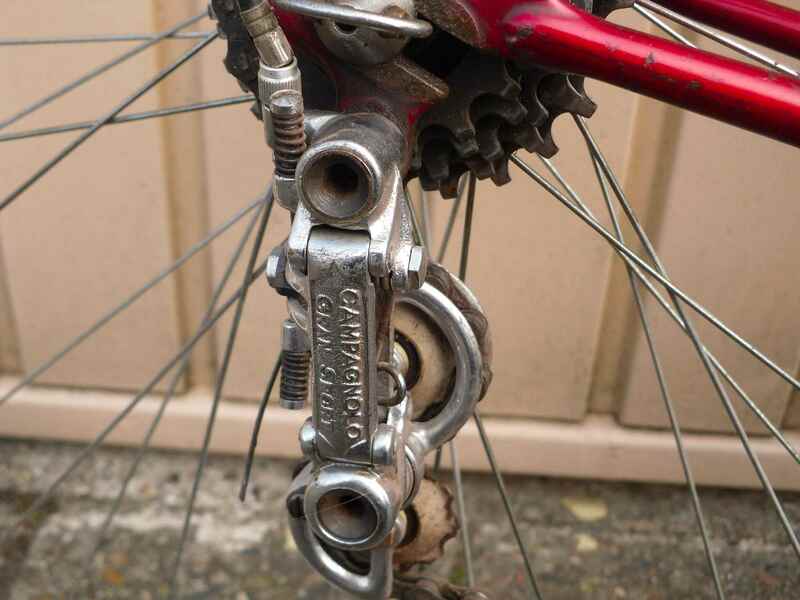 I know that the spearpoint rear dropouts call for a derailleur, but I had this ASC knocking about and on it went. 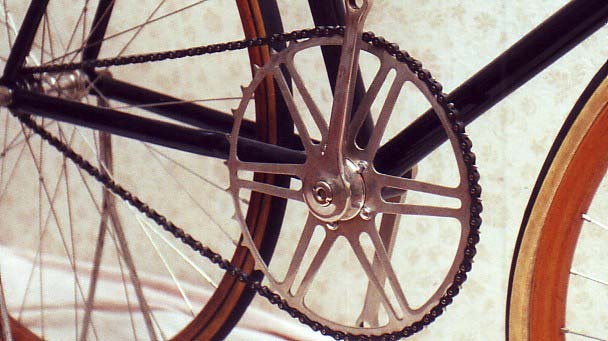 My other SL has derailleurs, I´ll come to that in due course. 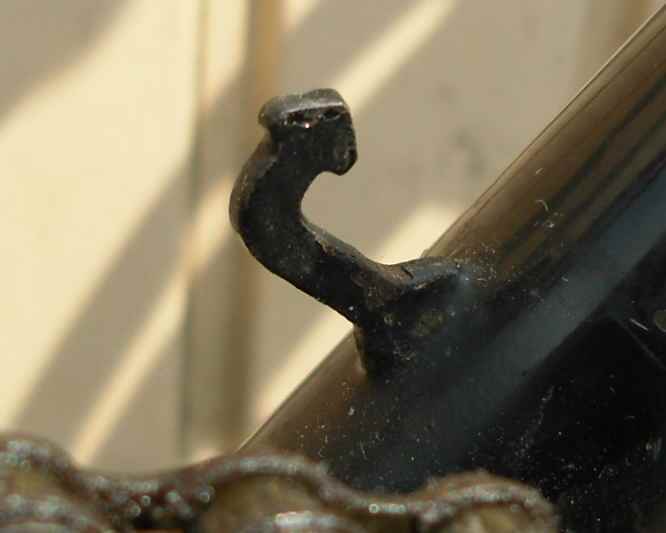 It´s said that this cradle construction was pinched from aircraft design. If that´s true it´s a plane I certainly wouldn´t like to sit in. My guess is that the SL works despite of its construction, not because of it, and I´m afraid to say that its ride reflects this. I have never ridden a bike with more shimmy and which felt more wobbly. 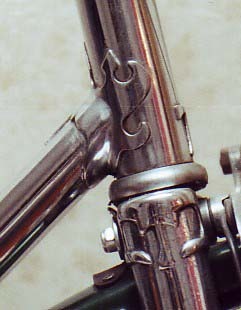 But then again I´ve never ridden another bike which has its initials (T and S) cut in the lugs. 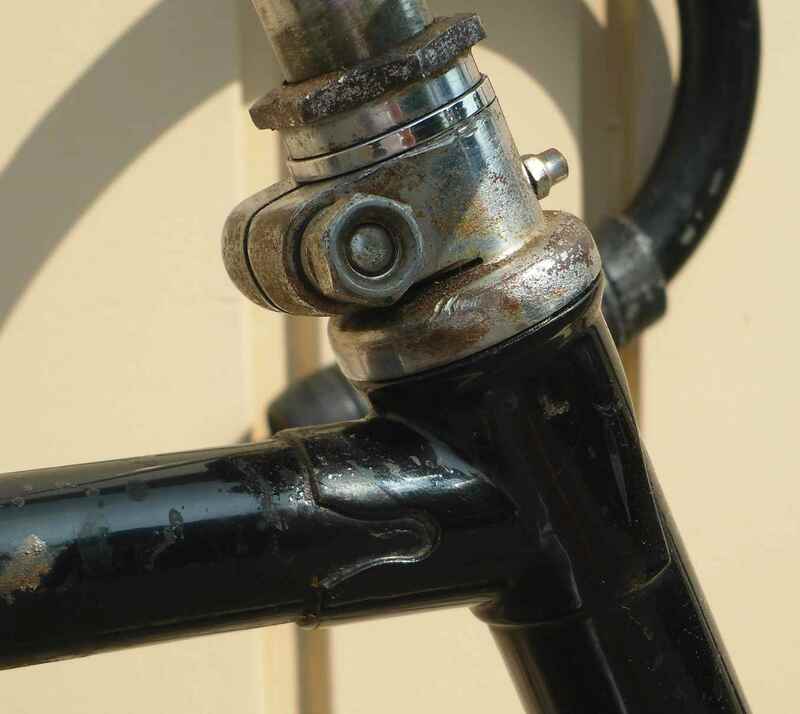 The Hellenic seatstays don´t help with the ride. Does this remind you of a Hetchins? It should. 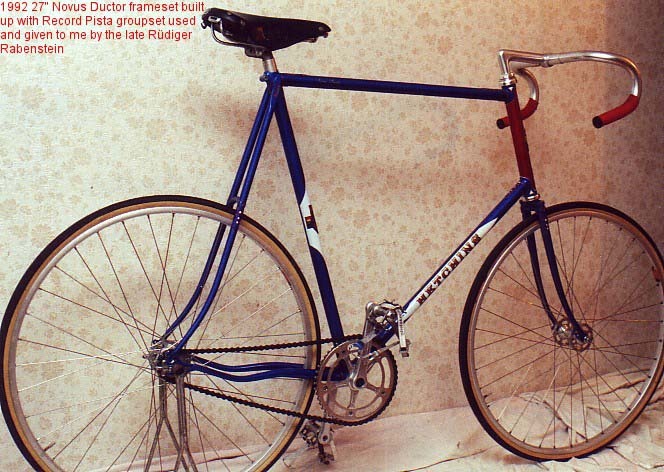 The explanation is in Hilary Stone´s book Ease with Elegance: Hetchins´ framebuilder helped to get Thanet off the ground. 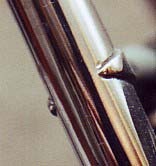 And of course you will remark that the typical curved seatpin is missing. It is, and I´ve never missed it. The frame is quite tall, and as such quite long, and I just don´t need it. The internet does have its advantages. 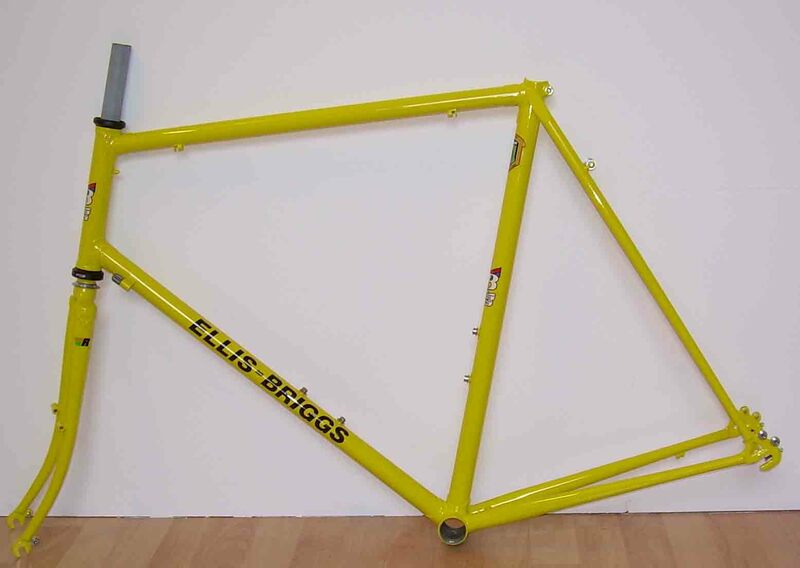 There are websites which deal with old bikes exclusively, and if there´s an Ellis-Briggs for sale, my appetite is whetted instantly. 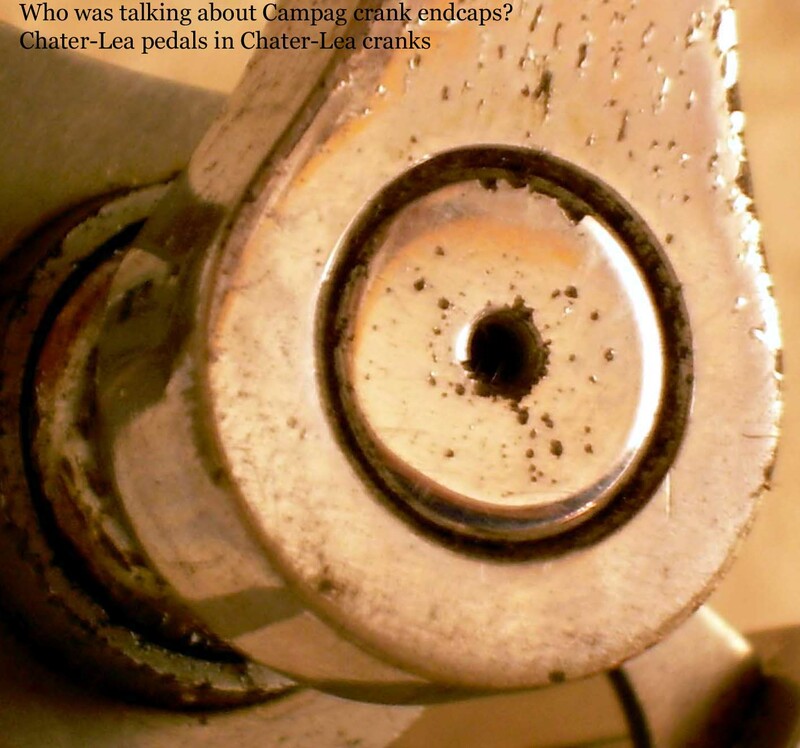 BTW, a thing I just found out: Click on a picture, any picture, for a bigger one. Very helpful. Anyway, back to the bike. 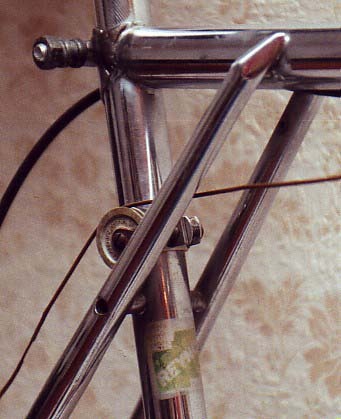 Hilary Stone says that he thinks E-B don´t have any records of very early bikes because they probably didn´t make the frames in house. 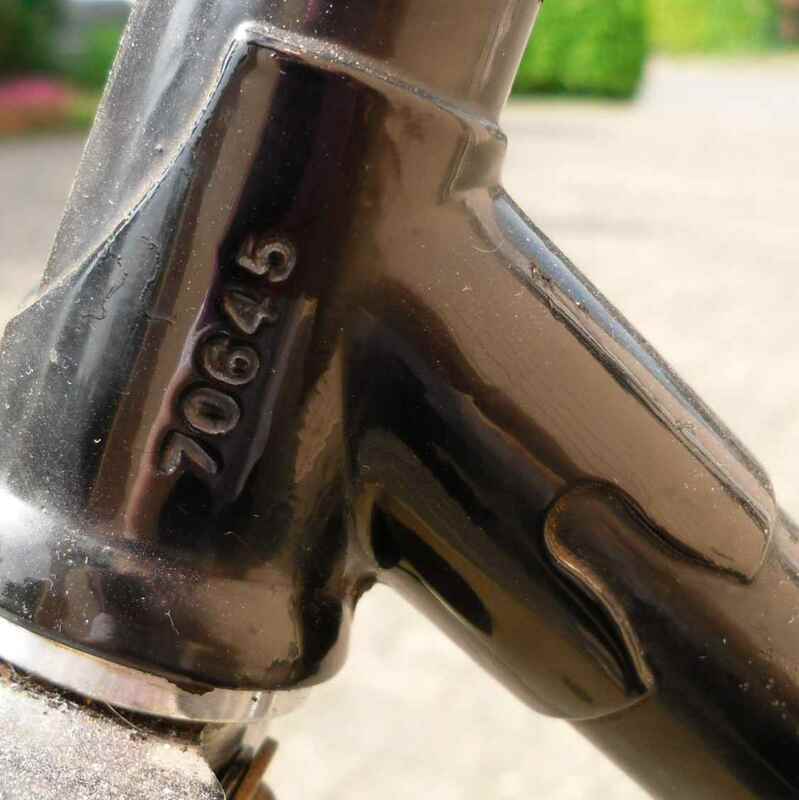 The old frames certainly don´t have the typical four digit frame number. 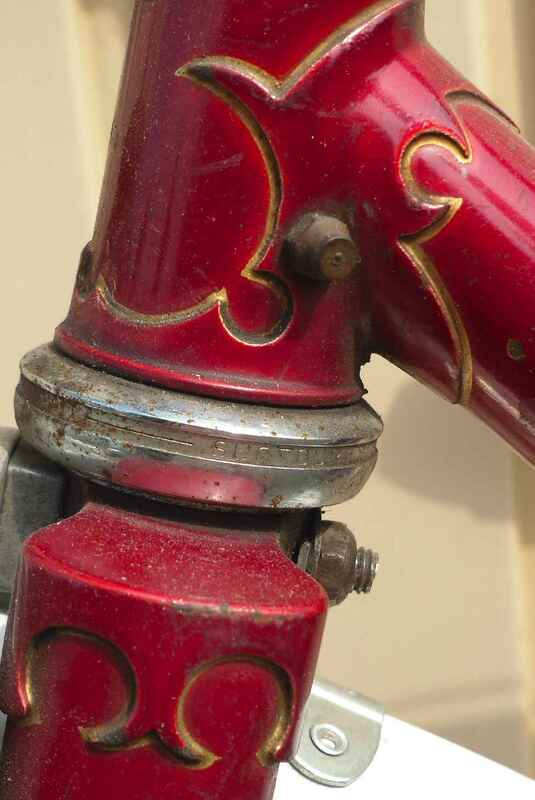 The bits on this bike are quite worn, the mudguards are repaired in a rather rough and ready way, but the bike spells patina and has a very genuine feel to it, save perhaps the handlebars and extension. 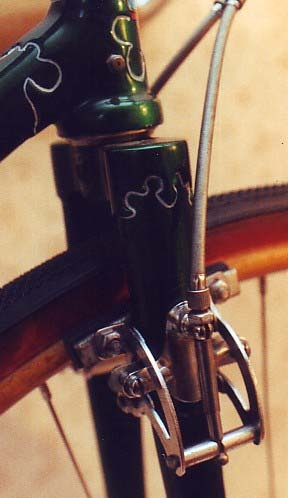 These however are counterbalanced by the typical 30s Resilion Cantilever brake. 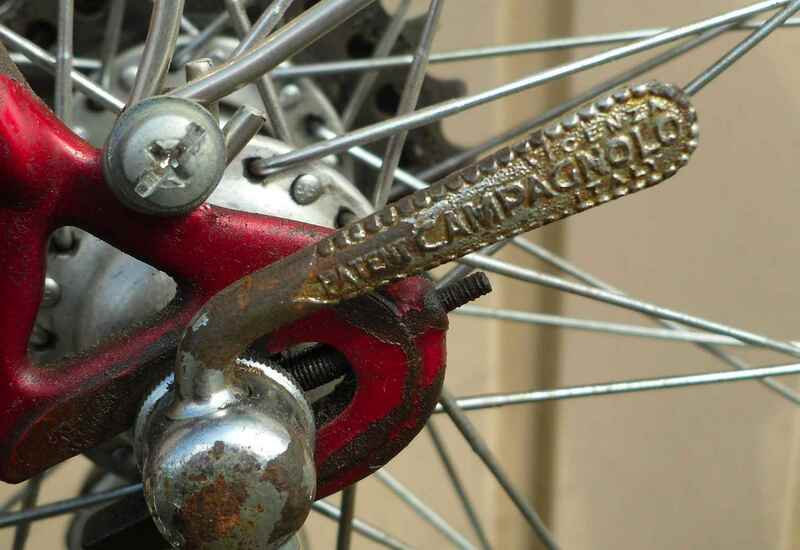 No brake in the rear – you find this often in old catalogues on cheap to medium priced bikes with a fixed wheel, so that is ok.
And don´t I just love those old transfers. Here´s just a few more detail pics with not much comment necessary.